Does Love Have a Speed? Love has a speed—and it isn’t fast. That’s what John Swinton argues in his thought-provoking book, Becoming Friends of Time: Disability, Timefullness, and Gentle Discipleship. In western, capitalist culture, time is something to be overcome; conquered by techniques of efficiency, strategy, hard work and ingenuity. The quest for production is a race against time. Where we place in that race largely determines our stature in society. Our legacy is measured by how we stack up against the flow of time—relentless and menacing. If only we had enough time to make another widget, to write another book, to meet the quota. The passage of time drives so many of us; society measures us by what we do with the time we have. The consequences of that can be destructive. We relegate relationships to secondary or tertiary status. And we often marginalize persons who do not effectively “use” time. We deem as lacking in value those who haven’t mastered the techniques for keeping up with time. They are “slow,” and in a society that measure us by the pace of production, “slow” doesn’t work. In short: Western society’s marginalization of persons with disabilities can be explained in large part by the way we construe time. These flawed economies of speed lead to the consequences that some persons are deemed unworthy of life, simply because they cannot keep up. Time is not on their side. Swinton offers a profound diagnosis of this problem—this pathological idolatrizing of productivity and efficiency. 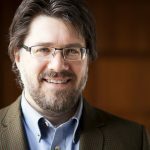 He interweaves insights from theologians, philosophers, Scripture, and the sciences, and draws upon his own extensive experience in the medical profession, to argue that Christian discipleship is incompatible with how society often approaches time—and consequently, persons living with disabilities. For Swinton, the anti-dote to the disease of our misguided understanding of time is theological: We should understand time through the lens of God’s time—and God shows us that love has a speed: slow. Swinton cites Kosuke Koyama, who suggests that God is a “three mile an hour God,” taking a leisurely pace. Jesus’ activity and teachings in the Gospels reflects the importance of “timefullness” and “gentle discipleship,” rather than a frenetic race against the clock. This theological correction is best served with a component of praxis: Rethinking time and our relation to time through the witness of persons with disabilities. Swinton argues that many persons, particularly those with neurological disabilities (i.e. dementia) experience time differently than the dominant normative cultural view of time (as either obstacle to or driver of productivity). Their experience of time can fundamentally change our orientation to time, perhaps aligning us closer to God’s pace. Christian discipleship calls for a reconfiguration of the way we think about time. It calls for us to slow down, to prioritize relationships over productivity, servanthood over speed, love over instrumentality. It calls for us to become “friends of time,” by becoming friends of others. I saw first-hand the way time can and is reconfigured through disability when my mom suffered from early onset Alzheimer’s disease. Growing up, one of my more prominent memories of my mom was her uncanny work ethic—she was constantly on the move. Whether working inside the house or in her career outside of it, she hardly sat down for long just to rest (or so it seemed to me). She loved to be productive, and could always find something that needed to be done. As the dementia set in over the years, her ability to be productive waned dramatically. Yet the many years of muscle memory kept her yearning for activity. At one point, she would simply wander the house, sensing or believing she should be doing something, but unsure of what—or how to do it. Despite a lifetime of habit, life slowed down dramatically for her—as it does for so many who experience the ravages of dementia or other debilitating disabilities. And this can be frustrating for those who care for them, because it slows them down, too. Swinton makes this point beautifully: that in relationship with persons with disabilities, we are invited to experience time differently. To experience time slowly: as God does—because love isn’t frenetic, instrumental, or gauged by productivity. The beauty of his proposal is recognized by all the panelists we have gathered in this symposium. Each of them brings their own expertise and personal experience to bear on their reading of Swinton’s text. All the responses show a deep appreciation for Swinton’s work, and they each offer thoughtful questions for discussion. Several of the responses raise weighty challenges to his thesis, as well. In his contribution, Jean Vanier reflects powerfully on his own experience living with people with disabilities in L’Arche. He affirms Swinton’s appeal that discipleship involves slowing down and setting aside our preoccupations with power or prestige, truly listening and “being with” the other. The result of gentle discipleship is genuine community. In her essay, Debbie Creamer challenges Swinton for romanticizing former ages and cultures where there was presumably no race against the clock (the clock’s “second-hand”). The problem of marginalization and violence against bodies may not be a function of the changing technology of clocks, but deeper factors related to human nature. She pushes Swinton to clarify the normativity of his proposal that “fast” is negative, whereas “slow” is (always) best. Adam McInturf challenges Swinton to consider whether, in his well-meaning critique of societal marginalization of persons with disabilities (and his important critique of theologies which blame persons for disability) he might have overlooked the tragic dimension of disabilities and the implications of the genuine sufferings that often accompany them. He suggests that “Holy Saturday” might be a way to reckon more realistically with the “liminality” that disabilities like dementia create. Medi Ann Volpe engages Swinton critically on his reading of Augustine’s famous discussion of time in The Confessions, and then interacts creatively with Swinton’s interpretation of the story of the paralytic in Luke 5, naming the problem of trust as the heart of discipleship. She contemplates how persons living with disability may show others of us how to trust, and therefore how to be disciples of Jesus. Tom Reynolds offers an appreciative response, helpfully summarizing four key turns in Swinton’s book, and then naming the theme of “rhythm” as tying together Swinton’s insights on time and discipleship. He takes Swinton’s book as an opportunity to explore the dynamics of practical theology: one in which theology informs praxis but conversely, praxis informs our theology also. The experience of relationship with persons living with disabilities shapes our view of God and of time. It was chapters 4, 5, and 6 which made me slow down, stop and reflect on all the consequences of what John is opening us up to in this book. Let me say first that there is a struggle within all of us to win, to win money, power, success and so on. This causes us to rush ahead to do things, driven by the ego that seeks an identity in power. Buddha says that some people can conquer one million men in battle. But the greatest is the one who can conquer his own ego, his need to prove that he is better or more worthy than others. And when we have ceased to be in competition, to see others as opponents and obstacles to success, when we have ceased to rush under the compulsion of our ego, we can finally meet the other. This means that to slow down, to live in God’s time, is fundamentally about relationships. It is about transformation, about becoming open to the beauty in the other. It is about meeting people, particularly those who are different. It is about becoming human. Is it not our capacity to be in relationship with one another that makes us human; that brings us human fulfillment? Our world is a place of struggle where few win and many lose. But maybe, if we can slow down, live time differently, it can become a place where we work together, each with their gift, to make of our societies a place of mutual recognition of brother and sisterhood. Jesus came to reveal to all of us the true mission of God: be compassionate as my Father is compassionate. Do not judge and you will not be judged; do not condemn and you shall not be condemned. Forgive and it will be forgiven to you. In short, love one another as Jesus loves us. And people are to know that we are his disciples if we love one another. All of this means that we should take time to be with people. To grow in love is to grow in patience, gentleness, kindness, and openness. Are we not all on this struggle to grow in love for one another? This is the fundamental struggle at the heart of our lives. We need help, we need the Holy Spirit; we need community. People with disabilities can be a wonderful Godsend. In so many and different ways, they are slower. Their concept of time is different. This means that, to be in relationship with them, we must learn to inhabit time differently. Michael described his experience with Peter, a man with a disability in his community. Peter, he told me, walks about ten meters an hour. This infuriated Michael and he would struggle to push Peter along. One day, however, Michael was tired of putting on pressure. He decided that today he would walk at Peter’s speed. And a whole new world emerged. There were flowers and birds; there were careful handshakes and smiles exchanged. Being with Peter in his own time offered Michael a new vision of humanity. Indeed, people with intellectual disabilities have a mission of showing others the road to humanness. Some people in our societies are fearful of those with intellectual disabilities. They are seen as not being fully human. Others are totally indifferent to their suffering. Some people, however, can become kind and generous when they see that the person with a disability needs help. Helping can, little by little, evolve into a friendly relationship. They may talk together; have a real meeting, each being truly present to the other, understanding the other. Generous people open up their hearts to people with disabilities in an even more general way. Their prejudice and fears begin to disappear. They are, in some ways, transformed by their friendship with people with disabilities. Little by little, they discover that such people are less capable intellectually and manually, but they have beautiful simple hearts, and a loving nature. They are not seeking power; they have the gift of real relationships. Being truly present to one another—particularly to the one who is different and has been rejected and excluded, brings us back to the question of time. We are then not concerned by our own success but by another person. We are living what John calls “God’s time,” not rushing ahead into the future, not rushing ahead so that we can win. To live this present moment, isn’t that the way we live in God? Is not prayer where God is present to us? Let us move on to chapter 5 and 6 where John discusses the distinction between discipleship and belonging—an excellent distinction. The disciple is a follower of Jesus. He loves and trusts Jesus, he learns from him. He responds to the call from Jesus to enter into a deeper friendship with him. Belonging is about being all together a part of the body of Christ, a community of Christians, disciples together, belonging together, making up the church, the body of Christ. Each one needs the others; each has a gift to bring to the body. Here John reminds us that people who are more fragile need the body in a particular way. They need to be recognized as a person and loved as a friend of Jesus. Did not Paul say that God has chosen the weak and the foolish, the most despised? The parish community must then recognize the presence of God in the weak. It’s not just a question of being with them at a Sunday service, but in recognizing that they are part of the body, they belong, they have a vocation, they have gifts to give to the living body of Christ. Belonging then becomes the sign of the true body of Christ. Christian communities and parishes are being called to truly accept people with disabilities in their midst as brothers and sisters in Jesus, as people who can bring us closer to God in a very particular way. Over my years of living with people with intellectual disabilities in l’Arche, I have observed that they sometimes have hearts of children in adult bodies. That is their pain, but it is also their gift. Children, by their capacities of simplicity, wonderment, trust, love, have a lot to teach us all. To enter the kingdom of God, are we not all to become like children? Blessed are you Father, Lord of heaven and earth, for having hidden these things from the wise and clever, and having revealed them to the little ones. People with intellectual disabilities have a lot to teach us, a lot to teach the whole church. If we enter into a real friendship with them, if we are in a place of belonging with them, they transform our hearts. They lead us more deeply into the heart of Jesus. A number of years ago I had the honor of being a part of the L’Arche theology group, a reflection group set up to think through some theological issues that were considered central to the organization’s present and future. The group was headed up by Jean Vanier, David Ford and Frances Young and met in various locations in France and in the United Kingdom. I remember flying down to Birmingham for one of the meetings. I got off the plane and jumped into a taxi. On route I discovered via a very friendly taxi driver, that Birmingham has more canals than Venice! My destination was a little nunnery nestled in the middle of a housing estate on the outskirts of the city. It was quite beautiful. A little haven of calm and peacefulness in the midst of a noisy vibrant city. I got out of the taxi and stood at the gates of the nunnery. There was a steep hill leading up to the front door. As I entered the gates I noticed Jean Vanier standing at the top of the hill. When he saw me he rushed down to meet me. He embraced me and said, “It’s so good that you are here!” Immediately I felt welcome; I felt that I belonged. I also thought I was going to suffocate from his embrace! We separated and he held my hand. Now, if you can imagine the scenario. A six-foot-four Catholic Frenchman and a five-foot-ten Afro Caribbean Presbyterian Scotsman walking hand in hand towards a nunnery, you will encounter a vision that goes some way to capturing the oddness of God’s kingdom. But the dissonance of that moment was a turning point for me. Love has no airs and graces; love simply loves no matter how odd and how awkward such moments of love may be. In the clasp of Jean’s hand I discovered an odd freedom that moved me to begin to see the significance of bodily presence for Divine love. It goes without saying that Jean Vanier has been deeply influential to me in my theology and in my life and his presence is very much a part of the book we are discussing. The title of the book and some of the narratives within it reflects something of the way in which he has helped me to reimagine the theology and the practice of time. The main way in which he has helped me to understand time differently has been by watching him live out time differently. Jean and his life alongside people living with intellectual disabilities, not only helps us to see time as slow and meaningful; he also helps us to see the need for humility when we reflect on time. Jean has defined humility in this way: “The word humble comes from the Latin humus, for earth, the ground. So what’s humble is down here on the ground, the opposite of exalted or raised up.”1 If we take this into the context of time we begin to see that God’s time is not only slow time as I have tried to argue in the book. It is also humble time. Humble time does not see time as something that is above or before us. Rather humble time perceives time as something that is “down here on the ground”; something to be lived with and lived into. In humble time we leave behind our egos and live into a mode of relationality that can only be sustained if we move slowly. As Jean puts it, “God’s time is fundamentally about relationships.” As we become open to the beauty of the other we can be allowed to meet them in their fullness. My good friend and colleague Cristina Gangemi has produced some lovely work on what it means to meet with people living with profound intellectual disabilities.2 To meet someone requires more than simply presence. It involves looking at someone, seeing them as they actually are and learning to love and to receive love. The nature, shape and form of our relationality is important. As Jean has put it elsewhere, “All one’s relationships are mediated by, or at least under the shadow of, the concern to be important in the ways that that is defined by the Normal: achievement, influence, competitive superiority, attractiveness to others, popularity, being admired, having privileges, and the like.”3 Standard clock time has an inbuilt tendency to desire us to be the lover of the norm. But Jean sees a different mode of time; a counter mode within which our world is turned upside down. “Our world is a place of struggle where few win and many lose. But maybe, if we can slow down, live time differently, it can become a place where we work together, each with their gift, to make of our societies a place of mutual recognition of brother and sisterhood.” It is precisely this counter-mode of time that I have tried to capture in my book. What I see in Jean’s response to my book is a gracious affirmation that at a minimum I might be onto something. The fact that there are communities (L’Arche communities) across the world who not only see the value of a change in our perceptions of time, but embody such time and live into it and out of it indicates that living slowly might actually be a viable possibility. Jean and his friends within the L’Arche communities bear witness to God’s time in ways that are tangible, visible, challenging and transformative. My point is not that Jean Vanier is a saint. I am pretty certain that is not the case. Neither do I want to suggest that the L’Arche communities are idealistic bastions of God’s time; little pieces of heaven where time is constantly being redeemed. Living in community is hard work; filled with joy, love, pain, angst rejection and tears. My point is that Jean and many within the L’Arche communities might be best conceived as champions of time. People who desire to pay a different kind of attention to time and in so doing help all of us to live into a mode of friendship with time which is peaceful, transformative and faithful. I greatly appreciate John Swinton’s work, in this book and elsewhere, as he guides us into deeper reflection and engagement with the world(s) of disability and religion. In this piece, I am particularly grateful for his invitation to consider our engagement with time from the perspective of disability, and the ways he offers countercultural and deeply faithful options for thinking and acting in new ways. Swinton provides what he describes as “an extended meditation” (11)—a nonlinear argument that unfolds like a conversation, sometimes pressing forward, sometimes stepping back to fill in gaps, sometimes sideways from one concrete situation to another, sometimes following a bit of a tangent, sometimes leaving gaps to be filled later. I find this to be a lovely model for writing in general and one that is particularly appropriate to this topic (and, especially, the ways in which he challenges linear, progressive, rigid “Standard Average European Time”). His style leads me, then, to offer some conversation in return, with the recognition that my context, questions, and curiosities might be quite different than his own. In particular, most of my own interest in disability has been with its ordinariness and its untidiness; this is a different context than Swinton’s attention to significant cognitive difference and other experiences of profound disability. I hope that my reflections here will complement his own while also suggesting that “disability, timefullness, and gentle discipleship” might be more complicated and messy than the book’s primary narrative suggests. Early in the text, Swinton invites us to imagine “a time before the second hand” (25). Drawing on the research of others, he writes that “clocks in various forms have been around for a long time . . . however the clock and clock-time as we currently understand it are relatively new developments” (25). He traces the clock back to the Benedictine monks of the European medieval age who conceived of a system of bells to announce the schedule of the day. He talks of these bells, as well as those of other faith traditions, as having a very specific meaning and purpose: “to call the religious to spend time with God” (26). Swinton describes the development of time into minutes and seconds as something that raised economic implications (such as the workday) and also changed the nature of time itself: “Time had become a commodity that was judged worthy according to its economic utility and commercial instrumentality rather than its ability to shape, hold, form, guide, and sustain human faithfulness to God” (30). This, in turn, led to the colonial project of disenfranchising those who had “temporal weakness” (32) or who were a “waste of time” (35), with clear impact on the (mis)treatment of people with disabilities. I appreciate this chronology of time and enjoyed thinking about the “time before the second hand” as well as the difference between a bell that calls us to worship and the chime on my phone that tells me I am late for a meeting. I agree with Swinton that there is a profound human and spiritual loss in the ways many of us order our life by calendars and clocks. And yet—while this may not have been Swinton’s intention—I also found myself suspicious of the inference that there was an era when time only signaled (devotional) relationship and was not linked to production. I think, for example, of women’s bodies, themselves a sort of a clock, with cycles and seasons, much of which can be understood in relation to production (of life, of nutrients) and which, simultaneously, embody relationality and even spirituality—all in ways that predate the clock of the market square. Similarly, the expressed needs of an infant (or animal) are as demanding as any alarm clock, and even those of us who are older in life can, perhaps, “tell time” by our own biological clocks and rhythms of hunger and sleep and energy and attention span, even if we were to disable all alerts on our mobile devices. Beyond this, it also seems that there are ways in which the “capitalistic” time of today (with hours, minutes, and seconds) can be profoundly meaningful, whether in support of human life (medication reminders) or relationship (a “date” with a friend for whom I might otherwise not “make time”). In the end, while I am grateful to Swinton’s nudging that we turn off our phones or, at a minimum, be far more attentive to the ways in which we are attending to time and ordering our lives, I would suggest that the stories of the “deeply meaningful” time of the monastery bells and the “profoundly empty and meaningless” sense of clock time today (31) might be illustrative but not definitive, and, if over-told, could be dangerous. I would suggest that both eras are far messier, particularly as we consider embodied experience; there is no “golden age” or “better time” to which we can return. Attentiveness to embodied time—and not just to time that is enacted or imposed—also reminds us that the “time” of people with disabilities is, in fact, the “time” of us all, harmed by commodification and rigidity, defined by vulnerability and interdependency. We might see this more vividly when “we” look at “them” (and, especially, at persons with profound cognitive disabilities), but “we” are just as beholden to time, at least when we listen to our bodies and to the concrete realities of our communities. One of the most memorable images in Swinton’s book was the “three mile-an-hour God” (67), drawn from the work of theologian Kosuke Koyama. As Swinton describes, “Koyama points to the fact that the average speed at which a human being walks is three miles per hour. Jesus walked at three miles per hour. Jesus walked slowly; Love has a speed” (68). The overall point here is that love takes time and moves slowly, something that we see in natural evolution as well as in the stories of Jesus. Swinton connects this to disability experiences, which might require us to slow down as we experience impairment (and simply walking a mile could take us all day) or as we attempt to communicate with someone with a cognitive difference (where sitting together for a long time might be necessary before a person returns a smile or joins in song). Swinton concludes that “slow is the new fast” (83), and that God’s time “is slow, gentle, and personal” (82). Again, I am grateful here for Swinton’s reflections. As is true for many of us, I too often feel like I have to rush, like time is scarce, with deadlines looming (and passing). We (especially those of us with certain kinds of privilege) crave and need this invitation to slow down, to invest in friends and family, to mindfully engage beauty, to eat food that nourishes us, to be fully present. In the midst of disability, I feel this even more fully—gratitude for the invitation to rest when my pain is too high or to not be impatient when I cannot immediately understand someone. And yet sometimes speed is beautiful (for example, think of the Hamilton musical’s theme of “Non-Stop”). Similarly, an insistence on slowness makes me uncomfortable. This, too, is partly my feminist and liberationist consciousness, where “just wait” or “your time will come” are the words of the oppressor, of empire, of the status quo. As I was reading Swinton’s book, I wondered about the appropriateness of praising slowness in the midst of the Black Lives Matter movement, or the Dakota Access Pipeline protests, or the uneasiness of the recent US presidential election. I think about the woman experiencing domestic violence, or the day laborer (or adjunct faculty member) hoping for a permanent position, or for the person with a mobility impairment waiting for public transport to be upgraded. How long must we wait? I do not mean to suggest that Swinton’s sense that “love moves slowly” is the same as suggesting that everything slow is good. He tries to differentiate slowness from sloth (71), and also observes that Jesus sometimes chose speed—as he writes, “Jesus probably did not wander slowly into the temple and slowly overturn the moneychanger’s tables” (81). But it seems that Swinton’s overall argument is that there is or should be a preference for slowness. As much as I want to say “yes” to the value of slowness, I am uncomfortable valorizing slow over fast, especially in a world indivisible from structures of power and privilege. I am also uncomfortable connecting slowness to disability, where sometimes even the person with dementia or Down syndrome might crave or need speed, and where even the person who is non-disabled might demonstrate profound slowness. I agree that in certain communities it might be beneficial to highlight the gift of slowness as a corrective to the pressures for speed and productivity, but I would rather see an approach where we might carefully and thoughtfully use (and value, and find beauty in) a variety of different speeds, based on needs and context, without any predetermination of which is best or ideal or closer to God. If the image of the three mile-an-hour God was the most memorable one for me, then the most provocative was in Swinton’s discussion of “The Horror of Time” (165ff. ), where he describes the linear and unchangeable nature of time, always holding a future of loss. Swinton illustrates this with two stories: the first, a multigenerational family gathering where a joyous reunion is also twinged with a recognition that this particular experience will never be repeated quite the same way again; the second, the story of a traumatic brain injury where the gravity of the injury seemingly created “someone else” (169) after the accident, significantly different than the “someone before.” In both instances, Swinton highlights the horror of time: “that it moves remorselessly and unstoppably onward toward death . . . nothing stays the same; there is no security; life comes and goes within the unchangeable flow of time” (167). Swinton then moves to theological language to highlight redemption in Christ, and especially the ways in which our identity is located “as lying outside the boundaries of our fragile bodies” (188), as a source of resolution for this horror. Setting aside the ways in which my own Christology differs from Swinton’s, I was again both drawn to and worried by his narrative of time. At one level, I appreciate the language of horror to name the uneasy feelings that come in the midst of happy moments or nighttime anxiety. But I was again craving a greater sense of ambiguity. Even as the passing of time includes pain (and particular kinds of pain when trauma is concerned), it is also so much more than that. We talk about the healing power of time as, for example, in the need for time to grieve—we are glad when time passes. Similarly, we hope the days will pass quickly until we see a friend again, or until summer comes. Sometimes even at family reunions (the unpleasant sort, or even the unpleasant moments within happier gatherings), we hope that the time will move quickly and, perhaps, be soon forgotten. This sort of ambiguity around time passing is found in disability experiences as well. While the narrative of the pain and loss that comes after trauma is not unusual, we must also remember that sometimes the “after” is actually more favorable than the “before,” at least in certain ways or moments. And it is rarely as simple as gift or loss, good or bad. I think about PTSD, for example, where the past and present blur together, where nightmare and daytime are sometimes hard to distinguish, and where even genuine “horror” also includes experiences of strength and growth. I think about the multiple mixed feelings one might have at any given moment, how context and biology and environment affect our experiences and interpretations, how any event might feel different in retrospect than it did in “real time.” Even our memory of time changes over time. The passing of time is horror, yes—but it is also a gift that I would not want to be without, perhaps not unlike how pain is awful and yet is also valuable and good. The danger comes, I think, when we favor one and forget the other, or when we try to make tight categories at all. It is dangerous, I think, to link horror too closely to disability or to trauma; it is not wrong, of course, but those same horrors (as Swinton names well) are part of the ordinariness of life, where a self is made up of hundreds of befores and afters, strung together through the meaning-making of individual and communal narrative. As we move into a deeper relationship with time, it seems important to note not only the horror but also the gift of the passing of time, and to highlight how both of these unfold in ways that are messy and multidimensional and open to interpretation. In this book, Swinton invites us to become friends of time. As I conclude, I am reminded of the social media status “It’s Complicated,” a way of naming a relationship that does not easily fit into typical categories. I wonder, as I reflect on Swinton’s book, whether “friendship” is too small or tidy a category for a deep relationship with time. In part, I mean this in light of the type of “friend” we see in movies or greeting cards—as we reflect on actual friends, we know that these relationships are always complicated, whether it is the person you always enjoy being around (except for certain times) or the person you can trust with everything (except for certain things). Humans are messy, limited, complicated, imperfect creatures, and friendship is at least doubly so. But I also worry that the image of “friendship” might be too small here. I appreciate Swinton’s proposal as it adds balance or contrast to societal narratives—not (only) productive but (also) devotional; not (only) speed but (also) slowness; not (only) advancement but (also) horror. And yet I wonder here whether Swinton is aiming for a companion narrative or if he is proposing a counter-narrative that reverses our values but continues to privilege one way of being over another. As a companion narrative, I am grateful for the ways in which this book affirms much that is often overlooked or dismissed, including the wisdom that comes from disability and interdependent relationality. If it is meant as a counter-narrative, however, I worry that it does not attend as well to ambiguity and embodiment as it might, and, as such, could contribute to a continued understanding of disability as being one single thing (non-productive, slow, and in need of external redemption). Especially as one for whom Swinton’s Christian narrative does not fit, I find myself still conflicted by a “friendship” with time. Debbie Creamer is a gracious woman. I was delighted that she was able and willing to give a response to my book, partly because I am a great admirer of her work, and partly because I know that she sees the world quite differently from me. I name her a gracious woman because her paper, for me, sums up the ethos of the Syndicate project which is to encourage hospitable conversation around important issues for contemporary theology. The key is in the term “hospitable.” In order to be hospitable to another person one has to have a degree of humility and an ability to hold onto one’s integrity as one engages with views, perspectives, and people with whom you might not completely agree. My sense is that theology would be much richer if we could all develop hospitable relationships that enable the wonderful things that God has for us to be discussed, wrestled with and practiced. For me, Debbie’s response was a good example of such hospitable engagement. Debbie offers some very important critiques and clarifications of my argument. I was struck by two initial observations. Firstly, she pushes me to think again about whether there was ever a time when time was acted out faithfully. In the book I use the example of the Benedictine monastery and the way in which the monks’ perception of time was shaped and formed around their devotions to God. So the time of the clock was not the primary way in which time was understood (not least because mechanical clocks were not invented). Rather time was marked according to the ways in which spiritual devotions were structured. The monks weren’t interested in being punctual; their desire was to use time faithfully. Debbie views this as an idealistic picture, which of course to an extent it is. My point in using this example however, is illustrative and descriptive rather than historical, analytical and critical. I use it to raise an issue rather than make a definitive point. My argument is not that there was a pure time before the time of the clock, but that as we look at life within the monastery we find an example of a different way of perceiving and using time which provides an evocative contrast to the ways in which time came to be viewed later in history, that is, as a commodity rather than an aspect of worship. My point was not that at some point in history people used time in a pure, unadulterated way. I am a Presbyterian so there is not much if anything that I think humans do in a pure and unadulterated way! Nevertheless, the example of the Benedictines does offer a challenge to our spirituality of time. The second thing that struck me about Debbie’s initial comments was her reflection on the fact that the time of the clock is not the only mode of time that underpins and drives our lives. Our bodies mark and record the passing of time. She notes the way that women’s bodies can be read in terms of cycles and seasons that reflect temporal movements of relationality and spirituality. I found this tantalizing. In my reflections on dementia in the book, I do talk about the way in which time and memory are embodied and worked out in and through our bodies. Debbie’s comments reminded me that as well as being something that we live in and live into, time is something that lives within us. If it is the case that our bodies contain time as well as participate in time, this leads us to a kind of timefull embodied spirituality that takes seriously the rhythms of our bodies and recognises that these rhythms are not random dissonant and unpredictable. The “clocks” of our bodies resonate with the movement of Divine time. They contain and work out rhythms that emerge from our status as creatures. The internal dynamics of time have a telos that is bounded and revealed in and through our bodies, but extends beyond that to participate in God’s timefull actions in, to and for the world. The fact that we have body clocks and live within bodily time reminds us of the deep ways in which the rhythms of our lives need to become attuned to the rhythm of the Divine time. Spirituality is an embodied phenomenon designed to enable our bodies to tick in harmony with the timefullness of God. I found this an interesting bridge into reflection on the ways in which spiritual practices might help us shape and form our bodily time in ways that enable us to recognize the fleshiness of God’s time. Attentiveness to bodily time as Debbie points out, helps all of us together to see that the time of disabled bodies is the same time as all of our bodies. We are bound together by bodily time as it is lived out within God’s time. Debbie is correct in pointing out that capitalist, clock time can be a source for good. Such things as medical reminders or turning up on time for a date are indeed important! The problem however is that clock time has a tendency to be time for time’s sake. Time has a tendency to develop an autonomy that means that it forgets what it is actually intended for and what it is meant to be doing. So clock time will help us to take our meds on time, but what is the point of taking the meds? We might for example take them to alleviate pain. An obviously laudable goal. But we might ask: “Why is pain a problem?” Obviously, pain is a problem because it is painful. However, there is a deeper, spiritual aspect to pain. It is a problem because it interferes with one’s relationship with one’s self, with others and ultimately with God. Pain is the enemy of community; it acts to block the enjoyment of our love of God and our love for one another. Medication for pain helps us reconnect with God, self and others. So, being reminded of the time one should take one’s meds ends up being a deeply spiritual process. Administering good pain relief is a spiritual task that enables one to use one’s time faithfully. Clock time can help us remember to take the medication, but it requires another hermeneutic of time to explore and to understand the full implication of what taking the medication on time means. So Debbie is right that we need to take clock time seriously as a potential source for good, but only if it serves to facilitate the love of God. Clock time requires to be sanctified and redeemed in order that it reflects and functions faithfully within God’s time and does not take a stand against God’s desires. My point in the book is not that we should dispose of all of our clocks (although there might be a certain beauty in that!). Rather I want us to see that the standard account of clock time is theologically flawed and that we need to think differently. Thinking differently completely does not mean rejecting the old ways of seeing time. It does however mean that we place them in a different frame within which all time looks different. Debbie is also nervous about my claim for the significance of slowness. In the book I do place quite an emphasis on reframing slowness as a positive rather than a negative. The basic political dynamic is to take the term—slowness—which has historically been used polemically in relation to disability and to give it fresh new content. If it is the case that slowness is an aspect of the way in which God functions, then human slowness can be seen differently; as an aspect of dine love. Debbie finds herself suspicious of this as she feels (correctly) that sometimes speed is important. She highlights two current political issues that she feels clearly require speed: the Black Lives Matter movement and the Dakota Access Pipeline protests. Her basic point seems to be that social justice requires speed. We have to respond quickly to such things. I have no problem with that whatsoever. If I see someone with a disability (or anyone else) being abused in the street, I won’t be walking slowly towards them! Speed matters. However, when you look historically at the time it takes to make major social changes for the good, we quickly see that important change takes time. Movement towards justice is slow. It took a long time to overcome slavery. It took a long time to get civil rights action into law and practice. It took a long time to get disability legislation into law and even now there seems to be a long way to go before inclusion really means belonging. So whilst I can see the important of speed, in the end changes that end in durable justice take time. My overall point in the book in relation to slowness relates to the issue of love. In order to love one another; in order to be with one another in ways that encourage love and deep attention we need to move slowly. Being alongside of people with profound intellectual disabilities, advanced dementia and traumatic brain injury means slowing down, taking time for the things that the world considers to be trivial as Philip Kenneson has put it.1 There is plenty of room for speed, but love takes a certain kind of time. As we engage with people living with the kinds of disabilities I describe in the book, so we come to learn the speed of love. Debbie is right about the importance of speed in relation to immediate justice, but I think I am right in relation to the importance of slowness for love and long-lasting change. It is also worth noting that for many of the folks that this book engages with slowness is not a choice. So whilst Debbie might (correctly) desire to have a variety of speeds, within the confines of the experiences of the people I am engaging with speed is more often than not, not an option. At the heart of Debbie’s concerns is the need for ambiguity. She wants to open up time in a way that is more complicated than she thinks I make it. Humans are messy she informs us. We are messy, limited, complicated imperfect creatures. Well, I can’t argue with that! In the light of this she feels that the idea of friendship (a central motif of the book) might be too small. She wonders whether I am aiming for a companion narrative or a counter-narrative. If it is a companion narrative she feels this is helpful and reflects the necessary wisdom, interdependence and relationality. However if it is a counter-narrative she is worried that it could contribute to a continued understanding of disability as being a single “thing” which is basically nonproductive, slow and in need of external redemption. I see the root of her concern. However, I don’t think she needs to be concerned because I don’t think the two categories are in fact separate. The title of my book is Becoming Friends of Time. As the book unfolds we learn that the time that we are called to become friends with is Jesus.2 That being so, the book is clearly a companion narrative that explores what it means to be with Jesus and to be held by Jesus in a variety of different circumstances. The friendship offered to us in Jesus is unbreakable. But the book also serves as a counter-narrative. It talks about disability, but it is really about humanness. It is not offering a counter-narrative about disability, it is offering a counter-narrative about humanness. It is calling for all of us together to slow down, to recognize one another differently and to engage in the timefull practices of love that are embodied in the life of Jesus and made available to all of us in the power of the Spirit. The book is a counter-narrative that draws us into companionship with Jesus and with one another in ways that transform our expected norms and allows all of us together to spend time in way as that are fruitful, faithful and healing. I think we can have both. through hell, hell which has no exit, no time, no being. I have to begin by acknowledging what a privilege it is to be included on this panel. To have the opportunity to engage with a work as thoughtful and compassionate as John Swinton’s Becoming Friends of Time is a gift, especially in the company of such a wonderful panel of contributors. This is a particular privilege, since his earlier book Dementia: Living in the Memories of God was such an incredibly helpful book for understanding my own experience with my grandmother, who suffered from dementia while she lived with my family in her last years. I deeply appreciate Becoming Friends of Time, a stunning and original work of practical theology that delves deeply into some of the hardest questions of our embodied existence and emerges with very clear and bold proposals. Because of how ambitious this book is, I do not think I can agree with him on all points. But most books with which one agrees completely are not worth reading. This one certainly is. Beyond simply being misunderstood, the disabled face a literal, physical threat to their lives. In the allegedly progressive, tolerant, and diverse societies of the modern West, we are staring down the real possibility of the extinction of people with Down syndrome, as their abortions have become almost perfunctory in Europe, and increasingly common in America. Swinton’s core concern in this book, as in much of his other writing, is to reveal the assumptions that would have us prefer our lives to be rid of the presence of the disabled. The same logic is at work when we presume that those with dementia would be better served by being euthanized than being cared for. Swinton takes a pointed interest in the lives of those with dementia perhaps because they serve as a test case for how people who were once persons with rights become expendable. As with all other expendable human persons, the lives of those with dementia become disposable because we are able to convince ourselves they are no longer really persons, since they no longer meet our criteria for personhood. Instrumentalism is the logic at work in both of these cases. Of course, human life has always been treated as an expendable tool in the hands of power. It is not a modern invention for the powerful to judge the value of lives on the basis of their utility. What Swinton reveals, though, is the way in which a new conception of time brought about by the industrial revolution came to be the primary arbiter between valued and worthless lives. He shows how the invention of the clock was a vital component in the rise of capitalism, unleashing new technology for the surveillance of speed which made possible new fixations on time-efficiency as a means of driving profit and progress. This naturally gave rise to a new valuation of normal human life marked by speed and the conversely defective human life marked by slowness. So, in earlier times people with disabilities may have been thought of with many different characteristic features. The industrial West came to regard “the retarded” as essentially defined by single, universal characteristic: slowness. This ideology of “the time of the clock” brings with it a constellation of capacities necessary for acceptable humanness: “Thinking, speed, self-awareness, and autobiographical identity all become entangled in what personhood is assumed to be and what is presumed necessary to retain such a status” (31). And again, “As ‘time became money,’ so the disabled became a burden and a handicap” (43). The great blessing of this book is its thoroughly theological perspective. Swinton does not pretend to write as anything other than a theologian, and that is a good thing. As such, he offers up an alternative account of time from the perspective of God’s interruption of our time in the life of Jesus Christ. In this account, we are invited to receive God’s time as a gift rather than a scarce commodity to be grasped after. In this time, we are freed from regarding others on the basis of their utility for advancing our ends under the threat of dwindling time. Rather, we have been brought into God’s time, where our lives are hid together with Christ. United in the broken body of Christ, the lives we once regarded as defective according to the world’s patterns of perfection are revealed as beautiful and valuable in a new way. I am compelled by Swinton’s articulation of this vision, and embrace it wholeheartedly. However, I have questions about some of the conclusions Swinton draws from it, and hope to enter into dialogue on these points. My first question has to do with the broad application of this perspective on time to the very diverse experiences among folks with disabilities. One of the main difficulties in thinking and writing about the experience of disability is the fact that “disability” is a label applied to such a wide collection of impairments, complications, or just atypicality at work in physical, psychological, social, and mental manifestations. At times throughout this book, I struggled with a lack of acknowledgment of the possibility of different experiences of and relationships to disability (i.e., congenital versus acquired disability; static versus progressive courses). Central to my concern is the way in which the ideology of time serves as a metonymy for the hostile structures of the world, which are understood as the primary source of suffering for people with disabilities. Swinton references the work of Nancy Eiesland early on, and his construal of time and disability in this book essentially fits her “social minority” model. While Eiesland’s powerful theological voice was essential in rejecting the normativity of typically-abled bodies, she nevertheless dealt in constraining norms of her own by insisting that the only thing wrong with any experience of disability is its social reception. My fellow panelist, Deborah Creamer, names this dynamic very cogently in her book Disability and Christian Theology. “By emphasizing the social and political nature of disability,” Creamer argues, “the minority model devalues these individual challenges. When the experience of impairment is deproblematized, there is little room for people with disabilities to have a negative or even ambivalent relationship to their impairment.”1 My concern is that Swinton’s attempt to locate the negative effects of dementia in its social reception may curtail the ability to speak of the evils of dementia as they are experienced regardless of social setting. We can never hear enough rejections of the demonic notion that disability is somehow God’s punishment. So I greatly appreciate Swinton writing, “It may be that people with profound intellectual disabilities are deeply implicated and influenced by sin, but that sin may well be located within their communities’ inability to share embodied love” (112). For many people in many stances toward their impairments, it is helpful and accurate to focus exclusively on the social and structural sources of oppression in their lives. I wonder, though, might it not also be acceptable for some people with disabilities to regard their affliction as a facet of the inheritance of sin in a broken world? It would be hard to deny this in the case of someone who faced impairment as a result of physical violence. Although dementia may not necessarily have a cause to be blamed, there nevertheless needs to be freedom to speak of the oppression of the physical affliction itself. From his own chaplaincy work, Swinton is well aware of the suffering undergone by those with dementia. I do not dispute that. However, the consistent emphasis on the external sources of their suffering almost implies that dementia is a neutral condition, the value of which is determined by its social reception. There is much good to testify to in what endures in spite of dementia, many encounters where presence is made known, joy is felt. The “what just happened” moments (135) are so powerful.2 Still, I am troubled by this impression of dementia’s neutrality. I find it hard to see dementia as anything other than an active evil; a weapon wielded by the powers of death attempting to separate us from the love of God in Christ. Even the most well-adjusted cases of dementia—the most well cared for, the most loved—nevertheless experience terror and feelings of abandonment. Many still feel abject horror and fear and anger on a regular basis. This is the work of death. And we must not call it by another name. The death that is at work in the affliction of dementia is not a neutral, “natural” facet of old age. Elsewhere, Swinton has written of the need for recovering lament in our encounters with evil: “Lament provides sufferers with a hopeful language in which they can wrestle with God, self, and others as they attempt to make sense of the confusion that the experience of evil brings. Lament . . . enable[s] both individual and community to find healing, hope, and the ability to love God in spite of the presence of evil.”3 The language of lament allows us to deal truthfully with wounds that have not healed as we are gently invited to reveal them by the life of the crucified Nazarene. We may ultimately find that lament allows us to affirm the experiences of loss, abandonment, and isolation on the part of those with dementia, while also affirming the personhood which is undermined by medical discourse in isolation. So, how might we go about opening up space for lament in the experience of dementia? A theological basis of personhood is becoming necessary in light of growing acceptance that every unique capacity—from language to mourning our dead—is shared in some capacity by animals or ancient Neanderthals. It is also good news, considering how even those of us who meet (for now!) the criteria of acceptable humanness have our lives run by capitalistic ideology. So many lives have been sacrificed to the god of the market. I welcome Swinton’s call to renounce this idolatry by refusing to ground our selves in any source other than the gracious giving of God’s time through union with Christ. I worry, though, that Swinton does not go far enough in specifying the particular character of the Christ in whom our lives are hid. We are told that our lives are hid in Christ but not a great deal on how they are hid, or specifically who this Christ is. Without this concrete specificity, it can almost come across as if this union with Christ serves only an instrumental function of securing a metaphysically unassailable hiding place for personhood that is difficult to ground elsewhere. This passage invites us to consider how personhood in union with Christ might look if we tarried longer at the intersection of the suffering of Christ and the suffering of those with dementia. In particular to speak of time with Christ is to speak of Eastertide. As Paul says, “For if we have been united with him in a death like his, we will certainly be united with him in a resurrection like his.” Our union with Christ places us in the context of time and movement between cross and resurrection. I wonder if a vision of Jesus’s Eastertide may be in the backdrop of Swinton’s references to the dissonance and tension between lived experience and the promise of redemption. One place where a connection is drawn to the movement of redemption is in Swinton’s discussion of Hans Reinders’s use of “fall” language. This uneasiness with nonresolution sets our life with Christ in a binary: identification with the cross or the resurrection. Indeed, the stories of those with brain damage and/or dementia will not end in the fall. But it is also true that what they feel is reality: their lives are stuck. Try as they (and those who love them) may, Dementia enforces a space of liminality and will not yield in this lifetime. While we must not acquiesce to experiences of death, we must deal truthfully with their reality. One way of reckoning with the perdurance of liminality on our end of the union with Christ is by attending to the time of liminality present within Eastertide itself: Holy Saturday. On Holy Saturday, we attend to this day between cross and resurrection on which Jesus lay dead in the grave. Affirming this day within God’s time may allow us the space and time to speak truthfully about the lived experience of death and alienation that will not resolve during the earthly lives of those with dementia. Holy Saturday allows us to affirm that precisely as we are held in Christ there is still a real perdurance of evil and death in our lives on this side of the eschaton. While we endure this death we are in Christ, and because of that we are not left with the “somewhat bleak picture of their present state and future possibilities” (184) that Swinton fears. In developing a theology of Holy Saturday and its application to the lived experience of trauma, I have found the work of Shelly Rambo to be instructive and profoundly life-giving. In her book Spirit and Trauma,4 Rambo gives voice to a theology that sees God’s presence at work precisely in experiences of trauma, not simply in their being overcome. In place of a language of victory and overcoming, Holy Saturday affirms life by a witness of remaining and abiding in the strange life that exists mysteriously in the midst of death. 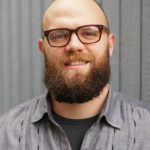 I am intrigued by the prospect of connecting Rambo’s work on trauma with the experience of disability. Particularly striking is Rambo’s development of the concept of “middle spirit” which she describes as operative on Holy Saturday. This “middle spirit” has strong affinities with the “liminality” of dementia. She writes, “Between death and life, there is a testimony to Spirit, to a love that survives and remains not in victory but in weariness” (79–80). It is this testimony that is needed as we walk with those suffering dementia, rather than an immediate, triumphal movement from cross to resurrection. For such triumphant narratives simply do not do justice to the wounds of dementia and acquired brain injury, wounds that remain with us. For those living with dementia (and I suspect for the many people who experience trauma as an enduring wound), they live in a gap that simply will not be bridged. We may (and must!) give the best care we can, offer the most faithful companionship, and explore creative points of contact; nevertheless, we cannot stop the tide of darkness rolling in on almost all people with dementia. In light of that, I struggled with some of Swinton’s language which seems a bit optimistic about the resolution that might be accomplished for those with dementia. What needs to be addressed here is the belief that the dissonance, the gap between the reality of grace and the brokenness of our experience, must (let alone can!) be overcome. I fear that naming the practices of the church as the means of overcoming the dissonance of our mortality may be off the mark in several capacities, but I will highlight three. First, it minimizes the real horror of looming death for those whose only companion is darkness by treating it as a thing that can be overcome by our practices. Second, it invites despair when we encounter the inevitable failure of the practices to overcome the dissonance. Finally, it may also lead us to an evasion of the actually unresolved dissonance enforced by an ideological insistence that the practices must “work” and therefore whatever we are experiencing must ipso facto not be that dissonance. I support Swinton’s invocation of the practices of the church. But we should be clear about what they are really able and called to do. The practices do not change the world, and they do not change us. To ask them to do so is to ask them to bear false witness. What they may do, however, is help us to remain. They may help us to be content with not being in control of the world or ourselves, and so help us be present with those who are in a much more painful way not in control of themselves. There is no community, whatever space it makes or rituals it performs, that will be able to resolve the alienation and loneliness of a person who is no longer able to build new memories or form shared history. The church is not called to fix, but to abide. At work in our desire to so quickly move from Saturday to Resurrection may be an unwillingness to accept our brothers and sisters with dementia precisely in the brokenness of their condition. I fear that moving too quickly to a positive construal may reveal our own secret belief in an instrumental anthropology in which we need the lives of those with dementia to be specially revelatory in some way, or just to “be positive,” in order for us to affirm their personhood. Our desire to imagine a wholeness onto the experience of radical brokenness may just reveal our desire to be a certain kind of church with certain curative powers. The harder task may be to accept them in the boring and mundane shape of their suffering, and embrace a life of abiding with one another with no immediate payoff in sight. It is clear that Adam has engaged carefully with my thinking and I appreciate his kind words in relation to this book and my previous book on dementia. Adam seems to have a primary concern for dementia and the theological implications of this kind of neurological challenge. The book is not specifically about dementia, but it certainly has significant things to say about this kind of human experience. Adam mentions that my previous book on dementia was helpful in relation to his experience with dementia in his own family. I imagine that his focus on critiquing some aspects of my thinking on dementia in my current book emerges from this experience and a desire to make theological sense of it. If that is so, then that is a good thing I hasten to add! A good theologian will always have the reality of the condition/situation they are addressing in mind as they begin to think through how best to frame the issue in terms of theological understanding and practical response. I found Adam’s reflections challenging and helpful in many ways. There are, however, one or two issues that I think need deeper reflection and clarification. From the outset, Adam presents me with a challenge as to how and why I conceptualize disability in the way that I do. He indicates that at times he struggles with my lack of acknowledgement as to the diversity of disability, the implication being that I am somehow clumping all disability together and that there is a need for a diversity of perspectives on the nature of disability. I am not sure that I do this. It is certainly the case in general terms, that there can be a serious lack of clarity around the term “disability,” within both disability studies and disability theology and that one cannot and should not try to generalize across the category. To claim that disability is a single thing would clearly be conceptually erroneous. However, my book makes no such claim. I make it very clear from the outset that I am focusing specifically on certain forms of neurological disabilities and the specific implications that they have within a hypercognitive culture that has a quite specific understanding of time. The title of the introduction sets the context quite clearly: “Time, Disability and the Fragile Brain.” It is the particular way that Western people and Western clock time frame neurology in relation to personhood and indeed humanness that is the focus of the book. I make no direct claims in relation to people living with other forms of disability, although there are inevitably resonances and crossovers. If one loses sight of my central focus then problems emerge. Again, in relation to the construct of disability, Adam critiques me as being overly tied in with the minority group model of disability which sees people with disabilities as a minority group held together by the shared experience of oppression and injustice. He notes my mention of Nancy Eiesland and from there assumes that I am influenced by her model. This is not actually the case. My mention of Eiesland was in connection with healing and the way in which the overly realized eschatology that accompanies healing reflects a misunderstanding of time. I do not take up her minority group model in my book and for good reason. The three groups of people that I focus on in the book—people living with intellectual disabilities, dementia or acquired brain injury—are precisely the people who are excluded from the goals and desires of the minority group model of disability. Indeed, Nancy Eiesland states very clearly in the introduction to her book The Disabled God that her theology is not for those who have these types of challenges. This is why it is important to bear in mind the type of disability I am focusing on in my book. The minority group model requires that people are perceived as autonomous individuals who are free to participate in the political process through self-representation (nothing about us without us), and that the political goals of equality, freedom, independence, inclusion and justice are attainable and valuable. When the goals of the minority group model are achieved it is assumed that people can live well as productive citizens. That is of course a good thing and a worthy goal. The problem is that the central goals of this approach—autonomy, self-representation, participation in the political process, shared decision-making and so forth—are precisely the social goods that the people I reflect on in this book either never had (and could never have), have lost, or find very difficult to attain and sustain. The irony of the minority group model is that it ends up excluding certain people with disabilities. Whilst I do accept some aspects of the social construction of disability, I think it misrepresents my thinking to suggest that I use this particular model, simply because it excludes the very people whose perspective I am trying to raise. The Social Construction of Dementia? Adam seems unhappy that I am trying to indicate that some of the ways that we perceive dementia emerge from cultural assumptions that are false and deceiving. He suggests that I am trying to “locate the negative effects of dementia in its social reception.” I think that is a fair comment. I am not trying to suggest that dementia is a purely social construct. Clearly it is a neurological issue. I am however suggesting that it is profoundly misunderstood both in terms of ontology and epistemology, and that theological and social misunderstandings lead to overly negative assumptions about the lives of people living with this condition. In this sense, I absolutely do locate the negative effects of dementia in its social reception. It is obvious that dementia in all of its different forms is a neurological condition that creates significant challenges for individuals in relation to such things as memory and cognition. Neurology is clearly a necessary dimension for our understanding of dementia. But it is certainly not sufficient. Take for example the issue of memory. Our common sense understanding of memory is autobiographical and based on some idea of recall. In order to remember something, we need to be aware of our own story and to place memories in a chronological sequence wherein we can recall them from the past, bring them into the present and allow them to help shape our future. It is clear that, certainly in some forms of dementia, this ability is lost. However, when, as I do in the book, we begin to explore the well-documented phenomenon of body memory (the fact that our bodies remember things) and then begin to reflect theologically and philosophically on the idea of intentionality, i.e., that the bodily movements of people living with advanced dementia are about something: about Jesus, then we have a completely different hermeneutic that enables us to perceive one another differently and respond more hopefully. This is not mere social constructionism. It is a fundamental reframing of what we think we see when we look at a person with dementia. Thinking in these ways certainly has to do with social reception, Adam is correct on that point. However, my point is that our social reception is not only epistemologically flawed, it is ontologically false. When it comes to the nature of memory we have simply misunderstood certain key aspects of what memory is and how our bodies and indeed our communities are implicated within it. My book tries to help us to see the ontological flaw alongside of its epistemological consequences. Is Dementia Really an Evil? Adam suggests that to locate the negative effects of dementia in its social reception risks curtailing the ability “to speak of the evils of dementia as they are experienced regardless of social setting.” This is a very odd way to frame the issue. Equating dementia with an evil and suggesting that we should view it as an evil regardless of its social setting is risky, not least because it lets the evils of society go unchallenged and calls the victim of such evil, evil. Throughout my work on dementia here and elsewhere, I try to point out the way in which people with dementia are malignantly positioned within and by society (i.e., you and me). Steven Sabat1 has described negative language around people with dementia as malignant social positioning; a semiotic position wherein the language that we use around and about people with dementia becomes malignant insofar as it places them in a frame where the only option is to think the worst of their situation—“she isn’t the person she used to be . . .” Language creates the world in which we frame dementia. Because we (society) tend to speak negatively about dementia we end up negativising people. This negativising effect is seen clearly in such expressions as “she is not the person she used to be” or “I’d rather die than be like that.” A central point of my book is that this kind of negativising discourse lies behind many of the arguments for euthanasia within the context of dementia. The question I would put to Adam is this: Is it wise to frame dementia as an evil and by implication people with dementia as bearers of / victims of evil, but make no mention of the evils of society that can literally have a deadly impact upon people living with the condition? Because he is not clear on precisely what he means by the term “evil,” Adam runs the risk of engaging in a theological equivalent of Sabat’s malignant social positioning. Now my point is not that Adam is deliberately being malignant! I simply want to point out that we have to be careful with our language around people with dementia and that there might be a better way of making his point. His reflections on sin and taking seriously the fact that dementia (like all human ailments) is ultimately the outcome of sin (in the general sense rather than any particular sin carried out by an individual) indicates that his position is a way of trying to articulate the brokenness of the world and how dementia fits into that brokenness. I accept that point completely. I also accept that I should perhaps have re-emphasized lament as an aspect of living well with dementia. However, I think if we want to take the issue of evil seriously as it relates to people living with dementia, we need to look beyond the individual dimensions of the condition to the wider society and its malign tendencies. Adam is unhappy with what he perceives as my tendency to perceive dementia neutrally, that is, that it is not inherently a bad thing and that if we look at it properly we can see both positive and negative things. He finds it hard to see dementia as anything other than “an active evil; a weapon wielded by the powers of death in attempt to separate us from the love of God in Christ.” He states that all people with dementia no matter how well they are loved and cared for feel horror, terror and fear. He insists that we have to name dementia as a work of death. Again Sabat’s semiotic critique comes to mind. There are many other ways one could articulate dementia theologically. The question would be why this way? But beyond that it is not at all clear to me why we (“we” here being the followers of Jesus I imagine) have to call it a work of death? Of course we can acknowledge the suffering that some people experience at certain times, but is it not possible to live well and to live faithfully with dementia? Adam states that “almost all people with dementia” experience these things. But how does he know? He doesn’t present any evidence to support such a big and powerful statement. I spend quite a lot of time with people living with dementia at various stages of their dementia journey and I’m afraid I don’t recognize Adam’s description. So where exactly would the evidence be that “almost all people” with dementia experience it in the way that Adam describes? Is it not possible to acknowledge that dementia brings suffering, but recognizing that joy and meaningful life remains a possibility? My point which forms the essence of the chapters on dementia in my book, is that if we view dementia from within God’s time, then hope does become a possibility. As I mentioned, I take Adam’s point that I should have made more use of lament; a mode of prayer and worship that holds in tension suffering and joy. But lament is prayer to a God who promises never to abandon us.2 It is a positive spiritual practice aimed at people who desire to live well with God. If what we see when we look at someone with dementia is the victim of a work of death, then our lament will be similar to the ending of Psalm 88: “Darkness is my only companion.” But if our lament echoes Psalm 13 then things look quite different: “But I trust in your unfailing love; my heart rejoices in your salvation. I will sing the Lord’s praise, for he has been good to me.” I think we can articulate the brokenness that is undoubtedly a part of dementia in a much brighter theological light than Adam suggests. Adam feels that in relation to dementia I move too quickly to the resurrection. He feels that |I am overly concerned with joy and hope that I overlook the full depth of suffering that dementia brings. I see Adam’s point, but I think it is a bit of a novelty to find someone who is optimistic about the lives of people with dementia in a world that clearly sees things quite differently. So I take that as a compliment! I would certainly not argue against the notion that there is suffering in the midst of people’s journeying with dementia. I simply desire to make the point that there is more to dementia than suffering alone. Such a suggestion is counterintuitive for both theology and culture. All of my work attempts to make the counterintuitive intuitive. In the light of my overemphasis on resurrection hope, Adam suggests that a better way to frame the lives of people with dementia is to perceive them as living in a permanent state of liminality, somehow trapped in Holy Saturday; the time between cross and resurrection. He states that all people with dementia live in a “gap that simply will not be bridged.” Apparently “we cannot stop the tide of darkness rolling in on almost all people with dementia.” Adam thinks I am too optimistic. But, as I mentioned previously, I can’t really agree with his analysis that almost all people with dementia share an experience of a rolling tide of darkness, not least because there is a good deal of empirical evidence to suggest that this is not inevitably the case.3 One just needs to read through the clinical work of people like Tom Kitwood4 or Steven Sabat5 or read the autobiography of people like Christine Bryden6 to see that there is a significant question mark over dementia being inevitably and relentlessly dark and filled with unremitting suffering. That being so, I can’t really agree with the suggestion that all people living with dementia are trapped in liminality. Adam feels that I move too quickly to resurrection. He may be correct. However, framing people living with dementia as somehow trapped in an unending liminality seems to me to ignore the empirical evidence that at least questions such an assumption. More importantly, surely the power of the resurrection in the present and the ongoing movement of the Spirit of a God who promises never to abandon us7 indicates that liminality need not be a permanent state? I think we should take very seriously Adam’s call to remember the suffering that often accompanies dementia and to reclaim something of the practice of lament. I am grateful to Adam for the corrective. Nevertheless, I think that we need to remember that the majority of the lament psalms end in praise. The psalmist recognises the unending love of God. It is as he remembers God’s hesed; God’s unending faithful love, that he is enabled to praise even in the midst of profound difficulties. It may well be the case that I move too quickly to the resurrection, but my sense is that leaving people in a liminal state when there are other theological and practical options may well not be the most helpful way to frame things. The question for me is how can we take Adam’s concern for remembering the reality of suffering and liminality and place it in a more hopeful frame wherein the joy of the Lord remains a possibility even for those living with neurological damage? I am thankful for John’s thoughtful response to my engagement with his book. It both clarified his positions and chastened some of my assumptions. I hope that I have served as a useful interlocutor for John in this exchange. I chose to focus on John’s treatment of dementia for two reasons. First, it features prominently in Becoming Friends of Time. I also focused there because of personal history with close family members and friends touched by dementia. My intention was not to distract from the broader scope of the book, but to explore the logic of his proposal using dementia as a test case. I hoped to use it to show that while his framework may be very helpful to many people in their experience of disability or affliction, it might not be universally applicable. I appreciate John’s nuancing of his treatment of the evils of the social reception over against those of other “minority model” construals of disability. I was using the minority model in a very broad sense and did not intend to lump Swinton in wholesale with all the particulars. I also accept John’s chastening of my overarching characterization of the lives of those with dementia as marked by suffering. I did, after all, make an issue out of the need to acknowledge a greater diversity of disabilities. My own aquaintance comes from three close and extended encounters with dementia in friends and family, as well as a long-term presence my church has had in a nursing-care facility with a dementia ward. My characterization reflects my encounters in these situations and should have been framed as such. While my experience and elementary research tell me that anxiety and a trajectory toward isolation and loneliness are common among those with dementia, I am not trained in medical research. We must be careful when daring to speak of the bodies of others, and I was not as careful as I ought to have been in accounting for the various types of dementia and their diverse physiological effects in terms of cognitive, motor, and sensory function. Even if we experienced some level of comfort in knowing the name, and fleeting hope from temporary comfort with medications, the terrorist was still going to kill him. There is no cure and Robin’s steep and rapid decline was assured. . . . The massive proliferation of Lewy bodies throughout his brain had done so much damage to neurons and neurotransmitters that in effect, you could say he had chemical warfare in his brain. Once the coroner’s report was reviewed, a doctor was able to point out to me that there was a high concentration of Lewy bodies within the amygdala. This likely caused the acute paranoia and out-of-character emotional responses he was having. How I wish he could have known why he was struggling, that it was not a weakness in his heart, spirit, or character. William’s narrative of struggle and warfare allowed her to affirm her husband’s agency, personhood, and goodness even as his behavior tempted her to question it. Indeed, to forbid such accounts may be to deny an important experience of grief, promoting in its place a denial about real loss that may ultimately stunt the joy we hope for. To be clear, I affirm that personhood is irrevocable, that it is not lost simply because one can no longer master one’s narrative. I appreciated John’s very insightful explication of the phenomenon of social memory to affirm the ongoing personhood of those with dementia. Yet for those who have a loved one with dementia, should they not by the very same token be free to speak of the loss of their partner’s ability to remember them, which was a key aspect of their own personhood? In the same vein, I appreciate John’s corrective appeal to the power of bodily memory that endures in spite of the loss of cognitive function. Yet while bodily memory of certain forms endures, we should not neglect the fact that dementia often also cause the body to forget many basic bodily functions. It seems to me that a retreat to bodily memory is equally vulnerable to the forces of decay. These are hard things to bear. My only point here is that it is that we ought to embrace and empower grief as people walk through these hard things. John warns that I may unwittingly run the risk of what Steven Sabat has termed “malignant social positioning” asking, “Is it wise to frame dementia as an evil and by implication people with dementia as bearers of / victims of evil, but make no mention of the evils of society that can literally have a deadly impact upon people living with the condition?” In naming the affliction of dementia as evil, I do not mean to preclude the naming of the evils of its social reception. I do not think one necessarily precludes the other, and indeed I am in great agreement with John in his naming of those social evils. I would, however, like to question the source of those social evils. Does malignant positioning stem directly from dementia narratives of loss and grief? Might it not be that the narratives of loss and grief take on malignancy only because our society fears and maligns experiences of death? I want to suggest that the thing causing “grief and loss” accounts of dementia to be malignant is not the tragic element in the depiction, but that our culture has lost its sense of the tragic. What is malignant is not naming death but denying death. The “denial of death” culture circumscribes the affirmation of life to those lives that can be seen as free of death and so may be spoken of in exclusively positive terms. That forced elision of the presence of death leaves two options: denial or abandonment. Alternatively, the witness of Holy Saturday may ultimately prove empowering in a unique way as it affirms that trauma being undergone by those who suffer the effects of dementia is not foreign to the life of God. Human life is, in its broken and death-riddled state, already embraced in the life and love of God. Embraced in this death-encompassing life of God, we may find greater freedom to embrace the lives we actually have in all of their brokenness. Finally, John worries that I am “leaving people in a liminal state when there are other theological and practical options.” I believe that “options” other than the one I offer may be equally useful as ways of thinking into living faithfully with dementia and caring for those with dementia. It is certainly not my intention to abandon anyone in a liminal state. As I mentioned earlier, I do not believe that even the mst positive narrations or the most compassionate and empowering practices are capable of dispelling the all experiences of liminality enforced by dementia. Quite the opposite, I am offering the Holy Saturday vision of an embrace of liminality within the divine life because I believe it may encourage us to abide with one another, even when the promise of resurrected life seems very distant. Just as God in Christ joined all mortals in their death, so also we ought to abide with one another as death overtakes our bodies. It is by that mutual abiding that we hope for resurrection. I am honored to participate in this symposium responding to John Swinton’s newest book, where as usual, Swinton exemplifies profound theological reflection alongside a creative pastoral resourcing for Christian practice. Swinton’s book is marked by a heightened Christological focus, particularly in his appeal to Barth’s soteriological objectivism, affirming the sole truth about human identity as grounded in God through Jesus Christ. With this keen Christological focus, Swinton explores the theological nature of time as a gift. This gift of time offers not merely a point of interesting theological reflection but also holds significant implications for discipleship and the formation of Christian identity. In response to the stark realities of time economizing and normalizing a particular vision of the “right, desirable, and true” (51), Swinton responds with an alternate Christian “temporal consciousness” (28). How might Christians faithfully respond to God’s gift of time? For Swinton, the answer lies in practices marked by timefull discipleship: a slow, gentle, and peaceable way of being in time. For Swinton, living in relationship with people experiencing profound intellectual disabilities provides a means of encountering a “different mode of time and experience, a mode of time that is personal, present, deep, loving, caring, and timefull” (47). Swinton also offers expanded reflection on the vocation of “being” among persons with profound intellectual disabilities. Interacting with theologian Kosuke Koyama’s book The Three Mile an Hour God, Swinton centrally claims “love has a speed” (68). In faithfully responding to time as a Christian disciple, Swinton emphasizes the necessity of becoming friends with slowness (73). I wish to both challenge and expand Swinton’s prioritization of slow discipleship with attention to the role of apocalyptic time, particularly as it relates to Paul’s “in Christ” language, baptism, and Christian identity. Vocational witnesses to God’s love are not only faithful in practices of slowness and gentleness, but also in the mode of apocalyptic testimony. I will suggest that an expansion of Swinton’s notion of God’s time, as encompassing both slow and in-breaking apocalypse, might enrich and enliven Swinton’s interaction with baptism throughout his book, on both theological and practical registers. Swinton centrally claims, “We need to learn what it means to become slow disciples. Frenetic disciples may get a lot of things done, but in doing a lot of things they may miss the very things that God is doing” (123). While disciples do not often encounter flourishing within frenetic practices, the life of discipleship is not solely constituted in slow experiences of God’s love. Throughout Christian Scripture, we see the slow and gentle movement of God juxtaposed by God’s apocalyptic breaking into the world in order to enact swift, liberating, and life-altering work. This apocalyptic mode of God interrupting time is not only present in the Revelation to John, but in the transfiguration, the incarnation, Saul’s conversion, and Paul’s description of baptism, particularly his “in Christ” and “new creation” language. For example, Pauline scholars often note the absence of a verb in 2 Corinthians 5:17, resulting in a heightened apocalyptic sense of what it means to belong in Jesus’ body: “anyone in Christ . . . new creation!” God’s disruption of time may also be exemplified in experiences of acquired disability and the horror of time, as Swinton examines in relationship to brain injury. Swinton supports the primacy of God’s slowness from an evolutionary standpoint (67), however, as we see throughout Scripture’s narrative, and particularly Pauline theology, God’s work in time includes frequent apocalyptic movement. 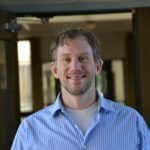 Swinton’s text raises tensions of how crucial Christian experiences and other identity “breaks” in the life of Christian discipleship—such as baptism or a traumatic brain injury—robustly integrate with ongoing sanctification, vocational discernment, and sustained practices of timefull discipleship. 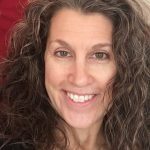 From my own experiences as an occupational therapist collaborating with many people with acquired disabilities, some of the most critical moments of revelation emerge from times of breakage. I have had the immense privilege of listening to stories of radical encounters with God through the disruption of an accident, a conversion, or a poignant moment of forgiveness. I question how Swinton’s argument holds together both realities of the sometimes slow and sometimes apocalyptic nature of God’s love and how gentle practices of discipleship might welcome both these modes of God’s participation in time. In a similar vein, I wonder if Swinton’s argument restricts a potential apocalyptic witness emerging from relationships with people with profound intellectual disabilities. My own experience as both a clinician and a disciple of Jesus has been disrupted in holy ways by patients and friends with profound intellectual disabilities—their “vocation of being” suddenly breaking me out of rigid patterns of efficiency at my church or job. Might a consideration of the apocalyptic witness of disability provide an alternate and equally powerful testimony to God’s love and coming reign? If so, I am curious how Swinton might wish to expand his account of slow discipleship to encompass moments of apocalyptic witness, particularly the power of God’s liberating disruption to testify to the coming of the New Creation. Building on the theme of baptism interwoven throughout Swinton’s book, might baptismal participation serve as a prime example of God’s in-breaking witness hinging on Christ’s death and resurrection? This kind of witness, alongside that of slow discipleship, may powerfully serve as a kind of “contemporary apocalyptic”1—a means to unmask the idolatrous cultural entrappings of the modern Christian West and to practically enact a vision of God’s good future. Jennings’s work both highlights the disruptive nature of baptism and raises an interesting critical perspective for Swinton’s work from the vantage of racial formation: might Swinton’s vision of slow discipleship privilege particular people groups who do not face social conditions contradictory to slow practices of discipleship? Relatedly, how might Swinton’s vision of discipleship disrupt violent and anti-Christian “processes of racial becoming”? This radical community of belonging, witnessed and born anew in the apocalyptic work of baptism, certainly excites me about the power of slow discipleship within contemporary communities of faith. However, I remain cautious to affirm the experiential power of this theological claim for many contemporary churches. Though many faith communities would certainly offer a robust affirmation of Swinton’s theological vision in doctrine and even proclamation, most communities remain in desperate need of accompanying practices to enact this kind of baptismal imagination. Beyond affirming the vocation of “being” and the centrality of baptism for a radical actualization of Christian belonging, sustained communal practices that enliven discipleship in response to the apocalyptic work of Jesus are desperately needed. In an anecdote regarding pastoral responses to questions surrounding re-baptism, Swinton helpfully highlights the experiential effectiveness of the practices that sustain a vocation of timefull discipleship, in contrast to the primarily theological effectiveness of the apocalyptic witness of baptism (194). Swinton identifies the “absence of an embodied memory of baptism” (196) as troublesome for many Christians, in the sense that a lack of embodied memory largely disconnects baptism from a vocation of discipleship. Building upon Swinton’s acknowledgment that both modes of effectiveness (experiential and theological) are needed for faithful living, I argue that practices of baptismal remembrance serve as a sustained and timefull practice capable of holding together the apocalyptic nature of baptism, while also working experientially to sustain practices of slow discipleship. Through practices of baptismal remembrance, God’s slow and apocalyptic interactions with time are held together. The radically Christocentric work of baptism is re-centered at the core of what it means to live in the baptismal vocation of discipleship. Swinton’s emphasis on a vocation of “being” among persons with profound intellectual disabilities as “a deep and powerful vocation” (124) is, I believe, strengthened in light of the baptismal framework I have proposed above. “Being” grounded in baptism connects one’s vocation to the death and resurrection of Jesus Christ. It binds one’s body, through both baptism and practices of baptismal remembrance, to the very body of Jesus which displaces notions of allegiance to progress and achievement bound up with Western conceptions of time. Swinton’s notion of re-membering as a sustained training to pay attention to the whole body of Christ—a body in which every body has a place—requires a breadth of practices to freshly remind the gathered community of the vocation to discipleship for each body. Embodied practices of baptismal remembrance serve as an ongoing training in paying attention to one another in light of the mighty acts of Jesus Christ, uniting disciples in Christ’s death and resurrection, and heightening perception to God’s radical in-breaking work of New Creation. Swinton has provided us with a tremendously important theological exploration of time, a practically focused means to faithfully engage disability, brain injury, and memory loss from a theological perspective. Swinton’s centering of Christological commitments, the vocation of discipleship, and friendship with slowness, open up new ways to deepen communal practices related to belonging. I hope my critiques of Swinton’s focused account of slow discipleship reflect the importance of his work in its ability to enliven and expand future conversations about time and disability, particularly by examining new ways to hold different approaches to time in tension, such as slowness and apocalypse, and connectedly, to enliven practices of re-membering within faith communities toward an end of more robust Christian formation. 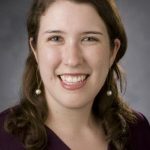 Sarah Jean Barton is an important up and coming theologian with a particular interest in baptism as it relates to disability. I found her essay to be typical of her thoughtfulness, care for detail and ability to use baptism as a flexible, critical hermeneutic that enables us to see various types of issues from a different perspective. In so doing she opens up a range of possibilities that were not previously available. Her challenge to me seems to be in urging me to develop my ideas further through an engagement with apocalyptic and baptism. I think that Sarah is onto something, but there are some points that need clarification and further reflection. At heart she wants me to think about how apocalyptic might sit creatively alongside of my work on time. Sarah recognises the significance of my emphasis on slow discipleship, but wants to juxtapose Divine slowness with apocalyptic activity which she indicates is “God’s breaking into the world in order to enact swift, liberating, and life-altering work.” Sarah uses (amongst others) the examples of the Revelation of St. John, the transfiguration and the incarnation to indicate God’s apocalyptic breaking into time to carry out particular transformative and revelatory actions. She implies that apocalyptic requires speed and unpredictability. Slowness and the speed of Divine love is important, but Sarah indicates that speed and surprising in-breakings should also be considered. I think there is something important in such reflection. Alongside of this Divine apocalyptic movement, she wishes to suggest that there is an apocalyptic human equivalent that is revealed within the experiences of certain forms of disability, particularly (although not exclusively) the fracturing and deeply disruptive experience of traumatic brain injury, a human experience that forms an important perspective in my book. This aspect of her thinking I am less convinced about. It may be that this is the case, but because she does not offer a clear definition of what she actually means when she talks about apocalyptic it is difficult to work out whether or not the suggestion that there can be a human equivalent of the Divine apocalyptic disruption is authentic. Although Sarah doesn’t formally tell us what apocalyptic thinking is, she seems to frame apocalyptic intervention as times of temporal breakage; God’s breaking into time to reveal something radical. She goes on to indicate that she understands apocalyptic to include the kind of breakage (presumably breakage with linear time?) that occurs in conversion, accident and poignant moments of forgiveness. I very much like this idea of apocalyptic breaking into our perceptions of time. It is less clear to me, however, how God breaks into time to reveal eschatological newness in and through human action and experience. I understand the importance of apocalyptic as Divine action, but I am less convinced in terms of applying the term to human action or experience. The key might be in what we actually mean when we talk about apocalyptic thinking or apocalyptic intervention. What Do We Mean by Apocalyptic? Sarah seems to use the term “apocalyptic” as if it is obvious and uncomplicated. I am not so sure that it is. Scholars have found it quite difficult to work out precisely what the term apocalyptic actually means.1 It is often not clear whether it is a genre, a conglomeration of certain themes, a style of writing, an eschatological language, a verb, an adjective and so forth.2 The word “apocalyptic,” derived from the Greek word apokalypsis, basically means “unveiling,” uncovering or “revelation.” In early Jewish and Christian traditions the word refers to the revelation of future events that are presumed to be unavailable to humans apart from God’s direct revelation.3 This is an important point. Apocalyptic intervention is a work of the Divine or emissaries of the Divine. It is not a work of humans. Humans simply cannot access apocalyptic knowledge. If they could it would not be apocalyptic. It is a Divine gift. Often the revelation brought forth in apocalyptic thinking was assumed only to be available for the remnant: those who are the last standing pillars of truth so to speak. This revelation very often comes via an angel as in the Revelation of St. John (Rev 1:1–3), figures who have passed on and reemerge in the present (such as Moses and Elijah in the transfiguration [Matt 17]), or via God in God’s self as in the incarnation. Such apocalyptic narratives draw in Divine figures in order to interpret present experience in the light of an imminent eschatological reality that is somehow breaking in on the present. They inspire hope for the faithful and judgement for the unfaithful. The temporal dynamics of this are fascinating and in some senses, sit well with my book’s observations on the unpredictability and instability of God’s time. So far so good. The examples Sarah offers of Revelation, transfiguration, Paul’s conversion and aspects of the incarnation sit well with such a description. However, it is difficult to see how apocalyptic, understood in the way I have just described, can be juxtaposed with the disruptive temporal experiences that people may experience when they acquire a traumatic brain injury or a sudden change after an accident as Sarah seems to suggest. If apocalyptic is in fact something that God does as God breaks into human time with powerful eschatological revelations of the future that are inaccessible apart from Divine revelation, how or why might one equate that same dynamic to aspects of human experience? In what sense can any human experience be described in the way that I have described apocalyptic above? Surely apocalyptic is a theological rather than an anthropological category? It is something that God does, not something that human experience reveals. There is a difference between “God’s liberating disruption to testify to the coming of the New Creation” and me falling down the stairs and having my life radically disrupted/interrupted by a blow to my head. I see what Sarah is pushing at when she asks me to expand my account of slow discipleship to account for apocalyptic witness. She wants to make room for Divine speed and immediacy; a space where God can shatter time and bring a whole new eschatological reality into our mundane temporal endeavors. I like that very much. I am just not sure that applying apocalyptic revelation to human experience gets us to a particularly helpful place. A real problem and the danger in using apocalyptic as a hermeneutic for experiences of disability is that apocalyptic in-breaking is always mediated by the Divine or an emissary of the Divine often, as I have suggested, an angel. The danger with the way that Sarah uses the category in relation to disability is that, if disability is apocalyptic, the inference is that people living with certain forms of disability are messengers of God. If we begin to think of people with disabilities as bearers of the apocalyptic vision we are easily drawn into thinking that such people are Divine or holy in a way that others are not. Now one might argue that we are not talking about what the people do but what their experiences reveal. But can we actually separate people from their experiences in such a way? Whilst experiences of disability can be disruptive and interruptive, I am not convinced that they can be seen as apocalyptic unless Sarah is defining it differently from the way I have outlined. Whilst apocalyptic might work metaphorically in drawing attention to the ways in which certain forms of disability can help us to see reality very differently, used literally, apocalyptic becomes problematic. There is a real sense in which certain forms of disability serve as a liberating witness in terms of temporal disruption and deep revelation of what it means to be human now and into the eschaton. We might consider using apocalyptic as a critical metaphor to foreground certain aspects of people’s lives. But in order to do this we need to be pretty clear as to what apocalyptic is, what the role and the task of the Divine is in apocalyptic and what role humans play in apocalyptic interruption. Apocalyptic may have a roll in raising our consciousness to important things, but because Sarah hasn’t really offered us a firm enough definition it leaves important questions unanswered. Having said all of that, I do think that there is more to be said about apocalyptic. The suggestion that God disrupts time and moves into the “standard account” of the temporal at points which transform our sense of timefullness and the stability of history is profoundly important. Apocalyptic is a reminder of the eschatological reality that God is with us and for us now and in the future; there is an endpoint to human history that is being worked out, not through human endeavor but via Divine love, and Divine love is always radical and surprising. That is the very source of our hope, and all the more so when we encounter the kinds of neurological challenges that I work with in the book; forms of damage that can bring about forms of disruption that are not always helpful, but are always hopeful. By disrupting time with a radical new eschatological vision that initiates an equally radical new eschatological imagination, apocalyptic thinking may well have the potential to reorient our thinking about disability and to present insights and angles that help bring to the foreground aspects of the theology and practice of living with a disability that can only be made available as God chooses to reveal them. Sarah raises the practice of baptism as one example of what this might look like. In my book I discuss baptism, specifically in relation to the lives of people with profound intellectual disabilities. I argue that baptism is the entry point into the body of Jesus. Baptism, as Jason Whitt nicely puts it, is “a person’s initiation into the Church where the gospel narrative—the way of living according to the life, death, and resurrection of Christ—is the identity-forming account of the community.”4 Baptism is a ritual wherein the beginning of our identity as Christian disciples is brought into public view. I argue à la Bonhoeffer, that baptism is not something we offer God, rather it is something Jesus Christ offers to us. In baptism we become Christ’s possession. Baptism is a temporal break that symbolizes that in Christ, past and present are torn asunder. Baptism is a break with the past that occurs in the present and points towards a new future. I have to confess that I was not thinking about apocalyptic when I wrote on baptism. I was therefore grateful for Sarah’s development of my thinking in relation to the dynamic of apocalyptic. Sarah sees baptism as apocalyptic insofar as it breaks into human time and reveals something very different about the world. This is an accurate reflection which, I think, offers us a clue as to how she may be using the term apocalyptic within the context of her response to my book. I think here and in relation to disability, what Sarah is pushing us to think about is not so much the literal apocalyptic nature of disability, but rather the way in which certain forms of disability bear witness / help us to become attuned to God’s apocalyptic movement in time. In other words, disability can bear witness to God’s apocalyptic even if it is not apocalyptic in and of itself. If I am understanding Sarah properly, it is this sense of bearing witness to God’s apocalyptic revelation that the power of baptism comes to the fore. Baptism bears powerful witness to the fullness of time and the apocalyptic movement of God as God enters into human temporal experience in order to cleanse us in the waters of the font or the pool. The disruption of baptism mirrors the apocalyptic disruption of incarnation, cross and resurrection. Baptism as apocalyptic enables apocalyptic to fulfil its true purpose which is to focus our attention on Jesus’ liberating apocalypse as it is worked out in the past, in the present and in the future. Apocalyptic baptismal practices are, as Sarah correctly points out, a necessary companion to slowness. Nevertheless, baptism, like apocalyptic is brief (Peter had to come down from the mountain following the transfiguration; Jesus ascended back into heaven). It emerges and transforms the way we see the world and then it recedes back into the world. Its impact remains, but its implications are now worked out within the time of creation. Apocalyptic does not alter the speed of God’s time within creation. We rise from the baptismal waters with fresh apocalyptic insight, but then we merge back into God’s time, refreshed, renewed, but not necessarily sped up. Apocalyptic has a temporal context. The working out of the impact of apocalyptic has a speed: slow. It is powerful but its immediacy is temporary; it is revelatory and shocking but not normative in relation to human beings’ day-to-day encounters with time. Apocalyptic time is like the waters of baptism. Warm, comforting, disturbing, terrifying, but then you dry off and life moves on at the same speed as before; changed and different of course, but still slow. The incarnation and the resurrection changed the world for all time, but we are still waiting for Jesus to return. The consequences of apocalyptic take time. Sarah argues that baptism is both apocalyptic and a mark of belonging. I agree with that. However, I would offer her a challenge. If apocalyptic baptism is so central and so important, why is it such a contested practice? Christians constantly argue about efficacy of infant baptism over adult baptism. Whose baptism counts? As one reflects on the ways in which Sarah, in her own reflections and in her use of Willie Jennings, outlines baptism and its benefits and blessings, one does have to ask the question as to whether her description actually applies to infant baptism, that is to people who do not know or understand baptism and by implication but not by juxtaposition, with people living with profound intellectual disabilities for whom the kind of warm cognitively oriented description she offers cannot be accessed even if through the Spirit they can more than probably be enjoyed. What exactly do such terms as renunciation, confession, turning away, repentance mean for people with profound intellectual disabilities or people living with advanced dementia? I try to offer a response to that question in my book, but I would be fascinated to find out how Sarah would address such issues in relation to baptism. In Swinton’s proposal, unseating progress as the regnant secular doctrine turns certain assumptions about people with disabilities on their head. “In God’s time,” he writes, “the idea of killing people with dementia because they are a drain on our resources and cannot contribute to the so-called good of society seems to come crashing in from another world and another time. Likewise, the suggestion that the world would somehow be a better place without people with Down Syndrome is revealed for what it is: a mistake” (82–83). I agree wholeheartedly with this claim, both as a theological ethicist and as the mother of a girl with Down Syndrome. In what follows, I want to explore some aspects of “God’s time” and the nature of slow discipleship. My response comes in two main parts: first, a probing of the theological account of time, in conversation with Augustine’s Confessions; and, second, further discussion of the gift people with intellectual disabilities can bring to the body of Christ. Yet Augustine’s own description of eternity suggests a way out of this problem. Eternity resembles perfect attention in the present, rather than the cold and distant notion of “timelessness” that Swinton brings in John Howard Yoder to counter (59). Augustine explains how God’s being transcends time. “In the sublimity of an eternity which is always in the present, you are before all things past and transcend all things future, because they are still to come, and when they have come, they are past . . . but . . . your Today does not yield to a tomorrow, nor did it follow on a yesterday. Your Today is eternity” (XI. 16). Eventually the discussion does come round to something like this, by way of Jonathan Tran’s employment of Augustine. But we are missing Swinton’s own interaction with the text, which would bring to bear his practical experience as a mental health nurse, a minister, and a practical theologian. (It’s tantalizing to think about what that interaction might have yielded.) Similarly, the notion that eternity “designates life without limit” (seemingly attributed to Tran) originated within a hundred years or so of the Confessions. Boethius (475–526) described eternity as “the total and perfect possession, present all at once, of life without end” (“interminabilis uitae tota simul et perfecta possessio”; tr. Anthony Esolen, personal correspondence). On this interpretation of eternity, the difficulty we humans have in thinking about how God knows time (and everything that happens within it) is that we can only know events in time as successive, whereas God knows everything as we know the present moment. So Augustine’s description of our experience of time as being really three times, the present of the past (memory), the present of the present (attention) and the present of the future (expectation) also points to the similarity between the immediately present and the eternal. Augustine’s account of eternity gives the impression of ceaselessness, whereas “timeless” suggests fixity. Considered in more detail, this concept of eternity illuminates an aspect of God’s time worth exploring further. There is a second aspect of God’s time that might also have benefited from Swinton’s own reading of book XI. The attention given to timelessness draws the reader’s attention away from one of the key ideas in the chapter: that “the purpose of time is to facilitate and sustain love” (58). This observation might follow from what Augustine says about time in the Confessions, although the argument for this understanding of time does not draw on book XI much. I say it might follow because although Augustine says a good deal about how we ought to conceive of time, he is less explicit regarding time’s purpose. As a dimension of creation, time offers what creation itself offers: the opportunity to discover that we exist because of God’s love and in God’s love. In his ruminations on what time is, Augustine explains that God created the heavenly bodies and orders their movements, but those movements are not “time.” Augustine takes the example of Joshua to demonstrate this, but it also shows something about the character of time. “At a man’s prayer the sun stood still, so that a battle could be carried through to victory (Josh. 10.12ff): the sun stopped, but time went on. The battle was fought and completed in its own space of time such as was sufficient for it. I therefore see that time is some kind of extension” (Conf. XI.30). Likewise, in Augustine’s reflection on his own life in book XI, he regards time as a “distention” within which he is drawn (back) into God. At first Augustine describes his life as a distention “in several directions,” yet he sees only one of these as its proper trajectory: forgetting what lies behind and pressing forward to “the prize of the high calling” (cf. Phil 3:13), which is delight in the presence of God. Augustine’s telling of his life in the Confessions bears witness to the truth that “time is not an impersonal, free-floating commodity intended for the satiation of human desire” (58). Ultimately, indicating the purpose of time serves chiefly to tell us is what we ought to do with the gift. Augustine’s study of time in book XI tells us something about what time is for without letting us forget that time is a mystery. Digging into the Confessions book XI helps in two ways. First, further consideration of “eternity” draws us into the richness of the present (which is what God’s “timelessness” seems to be most like, according to Augustine and Boethius) and hints at the benefits of slowing down and paying attention. It’s not just “grounding,” like we could get from a spa or mindfulness training, but a taste of God’s eternity. Second, because time is a gift from God, what we do with that gift is an integral part of Christian discipleship. Since God has created the material universe and the time that orders its movements, as Christians we are required to learn the rhythms of God’s time. This isn’t something optional or extra, not a sign of special giftedness, but a commandment—as Swinton reminds us: Sabbath rest is a commandment. Living without anxiety isn’t just for some special Christians, but for all Christians: it is an indispensable aspect of discipleship, just as neighbour-love is essential and idol-worship is anathema. Far from being objects of our charity, folks who inhabit time differently help us not only to slow down, but to enter into God’s time. In chapter 5, “Time and Discipleship,” Swinton quotes me saying that the example of the paralytic suggests that getting to Jesus doesn’t have to be something we do by our own strength or initiative (99). There is more to be said here about the paralytic and the character of discipleship in support of John’s argument for the vital role of people with intellectual disabilities within the body of Christ. I wish to elaborate first on the example of the paralytic. In Luke 5, the friends of the paralytic are indispensable. Without their willingness to help, he would not be able to get near Jesus. From the perspective of the reader, his need for physical healing—his disability—is all he has to offer. The way the scene unfolds, however, suggests that not only is discipleship not a solitary, do-it-yourself project, but that the one who seems mostly to need help actually has an indispensable role as well. Immediately preceding the drama of the roof removal, the reader of Luke’s gospel is treated to a couple of narratives of healing, and given the information that “the power of the Lord was with him to heal” (Luke 5:17 RSV). The stage is set for another healing, and it appears as though his helpers have brought the paralyzed man to be healed by Jesus. But Jesus responds in an unexpected way: he announces to the paralytic that his “sins are forgiven.” The physical healing follows, as a confirmation of the forgiveness (which God alone can give); it isn’t the focus. Although the paralytic seems to offer nothing except his need for healing, his paralysis gives his friends a reason to go to Jesus and becomes an occasion for Jesus’ identity to be more fully disclosed. It appears that the paralytic only receives—help from his friends and healing from Jesus. Yet he plays the central role in the unfolding of the narrative. Swinton tells a beautiful story about another helper who needed to be brought to Jesus, which illustrates the dynamic I have described. Michael, an assistant, had to accompany “David, a middle-aged man with profound intellectual disabilities, to the chapel,” although he hated going—he was an atheist. But when David died unexpectedly, Michael found that he missed going to Mass. The one he was helping transformed him, by bringing him to Jesus: “David’s heartfelt desire became Michael’s salvation” (123): this is the gift of the paralytic, the one who brings us to Jesus. Yet the paralytic only gets us so far in our consideration of the discipleship of people with significant cognitive impairments. To need help is only the first step; the next step is to trust. As Swinton explains, the disciples “responded to his call because they trusted Jesus even though they did not truly understand him or know the fullness of his identity” (99). There are numerous examples of blundering disciples in the gospels, but there is a more favourable instance in John 6. Crowds have been following Jesus. But when he starts talking about eating his flesh and drinking his blood, many turn away. So Jesus turns to the twelve, and asks whether they’re going away, too. Peter’s response is famous: “Lord, to whom shall we go? You have the words of eternal life.” Note that he doesn’t say, of course we’re not going, Jesus. We get it. We’re with you. Rather, Peter expresses their trust in Jesus: “you have the words of eternal life.” Following Jesus doesn’t require perfect comprehension; it requires trust in Jesus. And trust is possible for anyone, however cognitively impaired. The “hard sayings” challenge the disciples: those who go away do so because they don’t understand, and they cannot trust what they can’t understand. This is not a problem for those who have no choice but to trust; it is a problem for those of us who’ve come to believe that discipleship somehow depends on making rational decisions. Discipleship is about trust and following, especially when things don’t make sense. I said at the beginning of this response that what holds this book together is the remarkable insight and wisdom of its author. John Swinton demonstrates the gentleness to which the book’s title refers. He engages thinkers from a wider range of disciplines, and moves the discussion forward with patience and always charitably. A great many authors rely on criticizing others to make their arguments. But not John. His proposal is made in gentle conversation with his interlocutors, not by pointing out their shortcomings. The whole tenor of the book is one of trust rather than competition. While I may have criticized (gently, I hope) certain aspects of John’s argument, I have nothing but admiration for his theological instincts, which are borne of long experience of following the three-mile-an-hour God. Slowness is necessary if we are to see what the Father is doing, which is what theology is all about, in the final analysis. What Swinton does extremely well in this book is to show us how to draw together practical experience, academic work, and biblical wisdom. He begins from the sure belief that people with intellectual disabilities and other cognitive impairments are made for life in Christ’s body, just as much as those of us who write books and respond to them. Drawing that belief into conversation with a very broad range of sources, he has written a perceptive book about a complex set of issues relating to the way in which we think theologically about time, memory, and cognitive impairment. Not only our academic discussions, but our discipleship will benefit from it. Medi Volpe is a theologian of great insight and sensitivity and her work on discipleship was very important for me as I worked out the argument of my book.1 Medi’s comments open up the issues I raise in the book in a very helpful way. She offers some vital critical opinions, but her response is designed to build on the argument as well as to challenge it, an approach which I found most helpful. There are a number of issues that I would like to engage in with Medi, but I will begin by acknowledging her primary concern that I did not engage fully enough with Augustine around his thinking on time. That is fair comment. I believe I got to the heart of the matter in the end, but yes, hands up, a deeper more pastorally oriented conversation with the text would have been very interesting. It’s not that I didn’t read the text; the problem is that I read the text and then engaged primarily with other people who have read the text. That is precisely what I tell my PhD students not to do! “Physician heal thyself . . .” So let that be a warning to all of you practical theologians out there. Keep your eye on the text and not just what you hope the text will do for your argument. I am grateful to Medi for the fascinating supplementary work on Augustine that she offers in her response. If the reader reads Medi’s reflection in tandem with chapter 3 of my book, all righteousness will have been fulfilled. Medi offers us some very useful insights into Augustine’s theology of time. She carefully draws out aspects that I think are important for the discussion on time and I resonate with the general direction of her arguments. Perhaps the easiest way for me to respond is by working in the middle ground between my book and Medi’s comments and developments of Augustine’s thoughts around time. My interest in Augustine relates to how his thinking may (or may not) illuminate the nature of God’s time and in so doing help all of us together to understand more fully the revelatory nature of the neurological challenges and experiences that the book focuses on. In his Confessions and elsewhere, Augustine seems to develop two accounts of time, one relating to time and creation, and the other having to do with time as it relates to the internal workings of the human psyche. In my book I use both perspectives (implicitly and explicitly), but my primary focus is on the implications of time being a creature. Augustine indicates that time and the world were created simultaneously; God creates the world not in time but with time. Time is a creature born out of God’s love. Time in this mode is not dependent on human psychological activity. Because time is a loving gift, what we do with the gift is an integral part of Christian discipleship. The book itself works with precisely that question: what does it mean to use our time lovingly and faithfully. Since God has created the material universe and the time that orders its movements, as Christians we are required to learn the rhythms of God’s time. This isn’t something optional or extra, not a sign of special giftedness, but a commandment. In the book, this gifted and created dimension of time is utilized in order to show the revelatory nature of those who use time differently from standard Western clock time. It is important to note that for Augustine, time as a creature is an objective entity that precedes time as a psychological concept. This is important in terms of the subject and objective of my book. Time as a psychological concept is fragile and deceptive. It is fragile because the human psyche is fragile; it is deceptive because God’s time is not linear and progressive; it doesn’t move from past to present to future although we human beings may well experience it as doing so, at least at certain points in our lives. Medi wishes to use this psychological time as an aspect of an argument to clarify the nature of eternity and God’s relationship with time and eternity. As human beings we experience time as progressive, but for God all of time occurs as if it were the present moment. For humans time is successive; for God time (past, present and future) is ever present. There is, however, another dimension to this tension between psychological time, created time and the ceaselessness of God. If it is the case that time is fragile because the human psyche is fragile, then might it be possible that certain forms of neurological damage actually shift our understanding of time from the psyche to ceaselessness? Rather than losing our sense of time, might some forms of neurological damage actually enhance our understanding of creaturely time and Divine ceaselessness? It will be helpful to think this through in relation to the experience of advanced dementia. One of the problems with Augustine’s idea of time as a psychological construct is that, according to this conception, intra-psychic time is wholly dependent on the neurological configurations that facilitate memory and cognition. If these circuits are damaged, so also is one’s ability to live in time. This is no small thing. Think about the language we use around people with advanced dementia. “She would never behave like that.” “She is not the person she used to be.” What this indicates is that if one cannot tell one’s story, that is, remember what used to be, what is and what you hope for the future, one cannot be the person one used to be. Statements like this reveal something of the problematic nature of Augustinian psychological time. It is basically the product of human biological achievement. Our ability to participate in psychological time is determined by our ability to do certain things. Time is not a gift but a neurological achievement. If psychological time is determinative of our identity then all of us are in trouble as we grow old and our neurology begins to wear out! Neurological damage is equal to the wrenching of the person out of time and identity. However, if it is the case that God’s time is quite different from our psychological perceptions of time, and if time is a gift that is in effect ever present in the eyes of God, then we might come to understand the loss of psychological time that people with dementia experience in a quite different way. They may lose their sense of psychological time, but they remain in creaturely time; a mode of time that is the subject of God’s redemptive movements within creation. For people living with advanced dementia, there is often no past or articulated future. Often there is simply an eternal present within which experiences from the past emerge and are engaged with as if they were occurring in the present. So when for example, a person with dementia speaks as though something from their history was occurring now, it’s not that they have lost their sense of time, it is simply that time has become tenseless, that is, there is no experience that can be spoken about in past, present or future tense. There is no past; what might be considered past is now worked out in the present. So what we discover in the lives of people experiencing time in this way, is that they may well be closer to experiencing time as God experiences it than those of us who are caught up in linear psychological time. 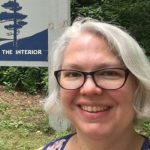 If we begin to recognize that the strange, temporally disjointed things that people living with dementia sometimes articulate can be viewed differently as we view the nature and direction of time differently, then our pastoral practices are provided with the opportunity to shift and respond in rhythm with this new timeful revelation. Augustine’s psychology of memory and time is therefore not particularly helpful for the types of disability that I look at in my book. However, his idea of creaturely time and the ceaselessness of God is very helpful in transfiguring the ways in which we perceive and act. In my book I got to a very similar place via philosophy, neurology and phenomenology, but Medi is right, Augustine probably should have been more involved in the journey. I was quite taken by Medi’s reflections on the narrative of the healing of the paralytic. I do some work on that in the book, but I think Medi draws out some fresh perspectives. In particular I was struck by the way she led us to realise the way in which the paralytic leads his friends to Jesus. One of the central issues in my book is the communal nature of Christians and the way in which the unity of the church is found in the diversity that is held within the body of Jesus. We truly are one body which means that we are dependent on one another for all things. When it comes to the lives of people living with profound intellectual disabilities, this living together and living on behalf of one another is made particularly sharp, not least by the question: what might it mean to believe on behalf of these who cannot believe? In the book I begin to develop an argument that faith should be understood in terms of trust and not simply intellectual knowledge. Medi picks up on this vein of thinking and observes that it would have been impossible for the paralyzed man to meet Jesus if it were not for his friends. However, to leave the story there would be simply to equate being alongside disabled people with charity. What happened in that story was much more than kindness and charitable acts aimed at physical restoration. By taking the paralyzed man to Jesus the “paralytic” actually leads his friends to Jesus. So whilst it looks like things are the other way around, in fact what we see in the story is that “the one who seems mostly to need help actually has an indispensable role. . . . Discipleship [is] not a solitary, do-it-yourself project,” as Medi points out. It is something we do together via the gifts and hidden perspectives that we bear in our bodies. Thinking in such ways opens up some interesting perspectives on Christian healing. There is a temptation when it comes to healing to focus on the one whom we perceive as in need of healing. So we focus on blindness, different shaped bodies, physical or psychological impairments or whatever. We then make judgements as to the success or otherwise of the healing based on the absence or remaining presence of the “problem.” What we learn from the story of the paralyzed man is that the primary aim of healing is reconnection with Jesus. It may well be that bodies and minds are changed, but the ultimate goal is always to be with Jesus. In human time healing may be an instrumentalized quest for bodily change, but in God’s time healing is always reconnection with Jesus who is time. Time and healing therefore have some interesting connections. I did not pick up on that in my book, but I think it is a conversation worth pursuing. 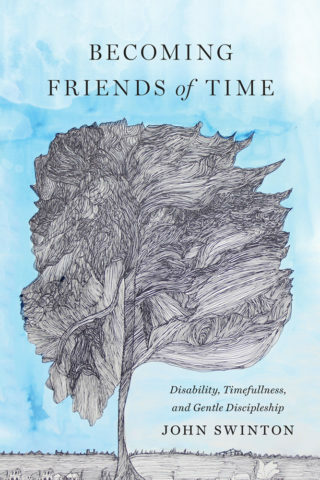 John Swinton’s recent book, Becoming Friends of Time, opens up important new areas of consideration for the growing literature in theology and disability. I’ve been an admirer of John’s work for a while now, and see this new project extending a line of research that is reflected in previous writings, particularly following his award-winning book, Dementia. My thoughts here are structured in two steps. First, I offer an interpretive rendition of what I take to be four key themes in the book that seem generative in providing insights, possibilities, and challenges moving forward the discussion on theology and disability. Second, and to conclude, I begin to think through some of these generative themes, briefly raising two questions that open up possibilities for further reflection. First, while the four basic areas around which I’d like to structure my thoughts stem from the book, they don’t necessarily reflect the order in which the chapters develop. All of them are interrelated, and in my scheme here, will move with increasing focus toward the idea of discipleship, a prominent theme. I’ll name them here briefly. The first concerns “practical theology,” which John argues, and I agree, is an approach most suitable for understanding and speaking to the very real intersections of theology and experiences of disability. The second is an important critique of normate conceptions of time—the rationalized sense of “clock time” that orients and drives modern Western society, which John, drawing on Benjamin Whorf, calls “Standard Average European Time” (SAET)—within which certain kinds of bodies are deemed “behind” and “slow,” unproductive and inefficient, and disabled. This corresponds to a third, point, which seems to me to be a crucial axis around which book revolves, namely, that social access and belonging have a fundamentally temporal dimension, and are not simply about spatial orientations. Genuine access and belonging involve an orientation to time, indeed, a critical reorientation, for which a theological moment is required. The fourth theme, discipleship, emerges in connection to such a reorientation, which involves becoming “friends of time” (a term John draws from Jean Vanier) as followers of Jesus in relation to the experience of disability. Interestingly, then, the key question (as I see it) is not what church communities need to do to become more welcoming of people with disabilities, but instead: “what does it mean to be a disciple in God’s time with people with disabilities?” This opens up generative possibilities for moving beyond approaches rooted in desires to contain, cure or somehow normalize disability, and for moving beyond thin accounts of inclusion, instead gesturing toward belonging together in mutual hospitality, in a time-full and gentle cadence as the body of Christ. Belonging in this sense has a distinctive rhythm. Appreciating the benefits of such consequences, however, requires first stepping back and attending to the wider scope of John’s approach, that is, as a self-described “practical theologian.” A theology that aims to intersect with practice and be attentive to experience has two advantages. First, it is interdisciplinary in scope and attends to diverse experiences of disability. This is a significant strength because it acknowledges the complex and multidimensional linkage of time and embodiment. The book references a wide range of literature, from theologians like Augustine, Bonhoeffer and Kosuke Koyama to philosophers of embodiment like Ian Hacking and Merleau-Ponte, and decolonial literature, medical science on dementia and brain injury, liturgy and pastoral care. Particularly noteworthy is how the analysis focuses on different experiences of disability, devoting sections to severe intellectual disability, dementia, and brain injury. There is a recognition that the theological implications of time will reflect variously in different kinds of experiences, though in each it is the priority of God’s time-fullness and grace through which unique vocation and identity of all Christians emerges, and not according to human constructions of time and standards of normalcy. The second advantage of practical theology, and its way of bridging theory and practice, is that it “attempts to hold the center” (6) between theology and experience in a correlation or conversation, where theology listens carefully to experience and experience is informed theologically. A kind of hermeneutical circle is created, avoiding both empty doctrinal speculation (for theology distant from experiential rooting may appear hollow and senseless) as well as aimless anti-intellectualism (as experience without theological perspective or orientation can be directionless). The issue is how to get into the circle in the right way, how to “hold the center.” John notes the tension, stating: “The question is, ‘What kind of timefull practices can help ensure that our theologically effective perspective on being in Christ is accompanied by ways of being in the world that are operationally/experientially effective’?” (196). If our experience is different than our belief, or vice versa, then there will be problems, a kind of crisis of dissonance. This dissonance is what John’s interrogations of time reveals—the second key theme. The experience of time can become reduced to clock time as a mechanized and empty form of measurement, the social effect of which evaluates and regulates bodies according to standards of productivity, efficiency and, most generally, speed. John notes how bodies are compared against temporal standards, some becoming judged negatively as “backwards” in processes of colonial othering. Lost is a sense of time as God’s gift, and introduced instead is the tyranny of the clock and an obsession with progress and keeping up with time. The implications are wide reaching. Living within such a framework not only represents time as an object to control and consume, a scarce commodity (and there’s never enough time to buy or to go around), it also exerts a constrictive pressure that ends up excluding a whole range of bodies from social participation—the category of disability here representing a flaw or diminishment in the capacity to negotiate time. The point crystalizes in the idea that modern Western conception of time elevates speed as normal (SAET) and negatively judges what can’t keep up as “slow.” Perhaps, however, imagining time differently, as a gift of God offered in a rhythm not captivated by clock time, changes the whole setup, opening up a space within which disability appears differently. When perceived from the perspective of God’s time, the experience of disability presents not as a deficiency but as an embodied difference inviting alternative possibilities for being together. John employs the work of Kosuke Koyama to reorient time in the form of Christ as a “three mile an hour” God, God with us in slow speed, moving from place to place at an average walking pace—a countercultural model of time in an age dominated by travel at high speed to “save time.” Love has a speed; it takes time. “Slow” now is reevaluated positively in a reversal that critically disrupts normalized conceptions of time, speaking prophetically against disabling ideals of temporality and cultivating instead new forms of inhabiting time together—via modes of access and belonging—that open “temporal space” for bodily differences that live and move in various rhythms. With this we’re already in the midst of a third key theme, namely, that access and belonging require a temporal as well as spatial reorientation. 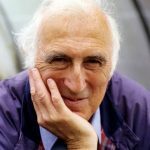 Referencing Jean Vanier, John suggests that this kind of reorientation invites slowness, becoming friends of time (74) alongside of people with disabilities and in God’s capacious time. And in this connection, disability—building on the perspectives of Judith Snow and John Hull, among other authors, who reflect on living with disability—can be an invitation to receive what John calls “the gift of slowness” (72). Access and belonging takes time, and involves receiving gifts of time in companionships that are demeaned if hurried and pressed to conform to preestablished timelines. Time is also closely aligned with discipleship, the fourth theme. As John notes, “When we (whether by choice, circumstance or necessity) slow down and walk with Jesus in God’s meaning-filled simultaneous time, we find ourselves noticing new aspects of the world and acting differently in response” (74). And what does acting differently entail? “Slowing down and paying attention to God’s time moves us toward the possibility of gentleness” (74). Time-fullness and gentleness are interconnected, modeled in Jesus. Discipleship then becomes a vocation, a call to live in God’s gentle time, which is restful and conscious of Sabbath as well as nonviolent and not driven by anxious captivity to the clock. The vocation or call to discipleship here is a gift of grace, not reducible to human norms or measurements of abilities. All have a vocation in a priesthood of believers. John repeatedly highlights how human identity is ultimately woven into God through the grace of Christ. Considering intellectual disability, dementia and brain injury, the book foregrounds various ways a person’s vocation can be revealed as a gift, irreducible to brain neurology or linear conceptions of time and memory that, for example, depict events in a scheme of “before” and “after.” God relates to human beings first, so relation to God is not a matter of knowing or doing, but of grace. I appreciate how these four interwoven themes contribute toward transforming the way Christians might imagine time and disability, moving toward a model of discipleship that is connected to companionship and belonging among all members of the body of Christ, each person having different gifts to give and receive. These themes also raise some related questions for me, which I will consider by way of conclusion. First, related to practical theology’s correlation of theological formulations and experience/practice, I value the way John is attentive to both sides. Yet I wonder if a methodological tension exists between—on the one side—suggesting that we first need to perceive things from within God’s time (theologically) in order to open alternatives to the tyranny of clock time that, consequentially, slow us down so that disability is perceived differently, and—on the other side—suggesting that the experience of disability reorients how time is perceived and opens up new theological conceptions. I read both as different yet interrelated ways that this book correlates experience and theology, and especially appreciate this as a parent/caregiver of a child with disabilities and also as someone who lives with depression—and who sometimes experiences the crunch of time in difficult ways. My experiences have provoked me to rethink theology from the ground up. The correlation of experience and theology moves in a hermeneutical circle, each simultaneously implying the other, as my experiences are already theologically laden and my theology is already contextualized by experience. Yet still, I wonder how to begin, whether I should first slow down and recognize God’s time in order to receive the gift of time, or whether first being in relation to my son and living with depression is an invitation to reimagine discipleship as gentleness. I read the emphasis in John’s book being on the former, yet not without qualification in many references to personal stories—e.g., Francis Young, Jean Vanier, and even Darwin. But does stressing the former threaten to undermine the method of correlation by which “holding the center” is possible, creating an imbalance that might lesson the creative gains of the project? Another related question arises with reference to the way the experience of disability is addressed. I value the way John is careful to qualify what might be perceived as a theological reduction of the experience of disability to “spiritual blessing” or somehow “closer” to God’s time. “Slow” is a term taken up in a transgressive way to invert the temporality of normalcy, similar to how Paul in 2 Corinthians speaks of “weakness” or how Jesus in the Gospels speaks of the “last being first” or “least of these as greatest.” My question, however, is whether “slow” becomes the new “fast.” Does slowing down end up becoming productive and useful, but on spritualized terms? Can the reverse idealization of normalcy’s negative judgments about certain kinds of bodies inadvertently reinforce those negative judgments, still appealing to disability as “slow” against social standards of efficiency and speed? I read John as resisting this by honoring different kinds of experiences of disability, cautious to avoid homogenizing disability as a “spiritual teacher” by highlighting the countercultural power of gentleness. Indeed, “slow” can be prophetically disruptive of a system structured around speed as a management of time through elevated efficiency and productivity, inviting an alternative way of being together. But I am hesitant to embrace “slow” language to describe disability given the dangers of it being taken up to describe people with disabilities. There are a number of related implications that emerge from these two questions. But I will close here by simply expressing my appreciation for such a stimulating book, which will no doubt influence future conversations on theology and disability. Tom Reynolds is a very talented musician. In terms of his theology, he is clear, systematic and thorough. But at heart he is a musician whom I suspect loves the rhythm of theology as much as he loves its structure. I imagine that is precisely why I tend to resonate with his work and with his thinking. I am also a musician. Having spent many years of my life trying to become a “rock n roll star,” music remains central to my life and perhaps to the ways in which I view life. Actually I still live with that desire to be a rock star, but that is for another edition of Syndicate! I think that is why I was drawn to the title of Tom’s response: “Belonging Has Rhythm.” It resonated with my musical soul, but more than that I think that juxtaposing belonging alongside of rhythm sums up something important about my book. Belonging is central to my thinking. However, belonging is much more than mere inclusion. Belonging is about love and meaningful participation. Belonging is a manner of participation wherein each member of the community has a space that is perceived by all as valuable and uniquely theirs. If a person is not present within the community, the community feels broken and those within it are filled with longing for the presence of the missing person. Inclusion is a political/legal concept that requires the law to ensure that all people have access to necessary services and adequate sources of social support. Inclusion has no inbuilt rhythm other than a basic desire for equality. The problem is that it is quite possible to include people without loving them or having to make any effort to do so. If people have access to the room, inclusion can consider its job done. But belonging requires that those of us who have access to the room need to focus on loving one another. The rhythm of belonging is the rhythm of the Spirit as it draws us into places where we discover that through the indwelling of Christ in our hearts we can live lives that are rooted and grounded in love (Eph 3:17). One of the things that I try to do in the book is to reclaim the centrality of belonging and the significance of the humane heart for rethinking relationality. Tom’s title really does capture something important about my work. God’s time is all about belonging. He quite correctly identifies these three themes as the center points around which the book’s argument revolves, reacts to and interacts with. They are not chronological themes, but rather might best be described as knots in the theological net that holds the book together and gives it its general sense of cohesion. These four themes perceived from the perspective of God’s time enable us to frame disability not in terms of deficiency but as modes of “embodied difference inviting alternative possibilities for being together.” This is a pretty accurate analysis of the book and captures something of what I am trying to do in the text. Is Theology Something That Is Brought to the World or Emerges from the World? Tom raises two important questions and asks me to consider their implications for my thinking on time. I welcome the opportunity to try to do so. Firstly, he feels that the correlative approach that I use needs clarification and nuance. He asks: does perceiving things as emerging from within God’s time and recognizing that slowing down is necessary for faithful and timeful living sit in uneasy tension with the suggestion that the experience of disability reorients how time is conceptualized and offers possibilities for fresh and new theological conceptions? If I understand Tom correctly on this point he is pushing me to consider whether theology is something that is brought to the situation and then lived out; a kind of applied theology wherein concepts and ideas are worked out within church and academy and then applied to particular situations, in this case neurological disability. Or does it actually emerge from human experiences such as the experience of disability. The tension seems to be between a kind of Barthian orthodoxy wherein theology lays down what is going on in the world and we respond accordingly, that is, we slow down because we are told that that is the proper thing to do in terms of theology and practice, and a more constructive theological approach wherein theology is reconceived “from the ground up.” In the former we assume theology to be to some extent fixed and given via Scripture, tradition and the creeds, whereas in the latter, theology takes such things seriously, but perceives theology as a constructive task that is emergent, dialectical and deeply sensitive to human experience and the ways in which we learn to conceive and reconceive God through such experience. For Tom the practical question is whether he slows down first or whether his slowing down emerges from the revelation that comes to him through his relationship with his son and his experience of depression. He suggests that I tend to come down in the area of the former which to an extent is true. I do think that we need to rethink how we understand time in relation to what we are given through Scripture and tradition prior to our responses to any given situation. I consider systematic theology—that branch of theology that attempts to organize truths about God in a self-consistent and systematic way—to be very useful for the practical theological task. However, I also firmly believe that our experience is fundamentally and inexorably important for the ways in which we interpret Scripture and tradition. Think of it in this way. Where does theology tend to be done? Very often it is done in a university setting whereby systematic theologians, historians, and biblical scholars ponder over Scripture and tradition in order to work through the intricacies of what we believe and what we should not accept. This is an important enterprise. However, there are a limited number of questions that someone sitting in an ivory tower can actually think to ask of tradition and text, even with the wonder of Mr. Google to assist us! The practical theologian seeks to understand the crucial questions that are raised by such academic work, but to supplement them with different sets of questions drawn from experience. The fact that a good deal of modern and historical theology uncritically assumes the presence and centrality of a thinking, self-aware autonomous self as central to soteriology, eschatology, ecclesiology and all the other “ologies” that we use, should raise our consciousness to the fact that certain voices, perspectives and people have been implicitly overlooked in our ongoing vocation of academic theological construction. So I think that the questions that emerge from experience are significant for academic theology. (I use the term “academic theology” simply because that is the social location that both Tom and I are writing from. I believe theology is intended for the church but that is for another conversation.) Let me illustrate what this might look like in practice. A practical theologian working within the area of disability might bring a range of fresh questions to Scripture and tradition which challenge, enhance, but do not necessarily fragment or reject established views. So, as per my conversation with Medi Volpe elsewhere in this edition of Syndicate, a systematic theologian might bring to the theological table an Augustinian understanding of time as a psychological construct. I as a practical theologian might then bring the questions that emerge from the experience of advanced dementia into the equation, offering a significant challenge to the universality of the anthropology that underpins an Augustinian psychology of time. Again, as a practical theologian I might bring the experience of depression to the table of theological dialogue. I might ask the systematic theologian what it might mean for certain forms of medication to transform my mood and to impact upon those aspects of who I am (emotions, feelings, ability to feel that one is with God, spiritual orientation), that are traditionally associated with the human soul. In this way the tradition is foregrounded—what is the nature of the human soul?—but the very act of foregrounding it in the light of experiential questions means that we see the nature and implications of such a question quite differently. In response to Tom’s question, I think there is room for both perspectives; the doctrinal/traditional and the experiential. It is quite plausible for me to say that according to Scripture we as humans need to reconceive time; to slow down and learn how to love, without closing down the fact that that might actually look very different from how I currently conceive of it when it is lived out in Tom’s situation. Likewise the constructive theological perspectives that emerge from my experience can and should help form the overall hermeneutic that drives my desire to love God more fully. I do however think there have to be boundaries on constructive theology. If someone wants to argue that Jesus is a dog because a kind dog helped restore their faith in the compassionate nature of the universe, one might want to be able to check that out against the historical creeds of the church . . .
Secondly, Tom asks whether slow might be in danger of becoming the new fast. In other words, am I simply challenging one way of being in the world which has become hegemonic, for another way which carries an equal danger of becoming spirituality hegemonic? I acknowledge that there is a danger of this. Likewise Tom is right to express concern as to the dangers of using the term “slow” in relation to disability due to the historically polemical use of this term. I have already offered my perspective on the arguments against slowness in my response to Debbie Creamer. Here I will offer one or two brief addendums. I am not arguing for us to use the language of slow in relation to people with disabilities. I am arguing that we should use that language to describe and inspire all of the body of Jesus. The church is called to become a community of slow people; people who move gently, caught up within rhythm of God’s slow time. Tom is right to be wary of slowness in the context of disability and to be wary that I may simply be spiritualizing one way of moving in the world that may not be any less problematic than speed. However, if it is the case as I argue, that slow time is God’s time and that the body of Jesus (like all of creation) moves slowly towards redemption, then I think we can legitimately reclaim slowness as a gift of the Spirit that draws us into a space where all of us together can be one in the slowness that mirrors and enables us to feel and live into Divine love. Slowing down in this way is of course risky and the polemical legacy of slowness must always be recognized. But slowness can be redeemed; it can be beautiful; it can be redemptive if Christians learn, in the power of the Spirit, to live it out plausibly and faithfully. In God’s time such plausibility becomes possible as we accept the graceful gifts that slow time draws us into.